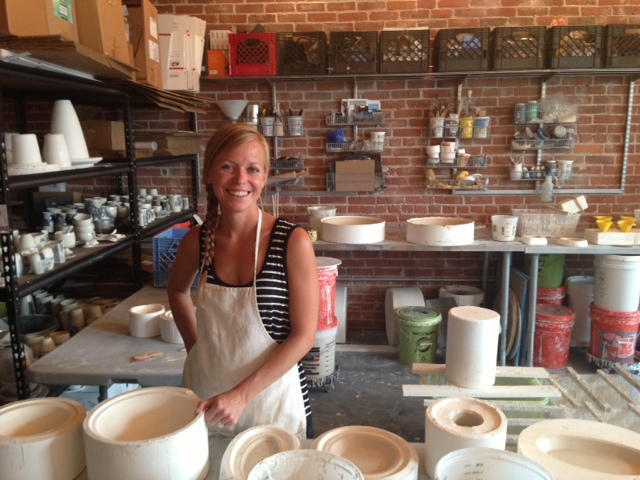 If you’re in the Boston area don’t miss a visit to Mudflat Studios in Somerville, pictured here! 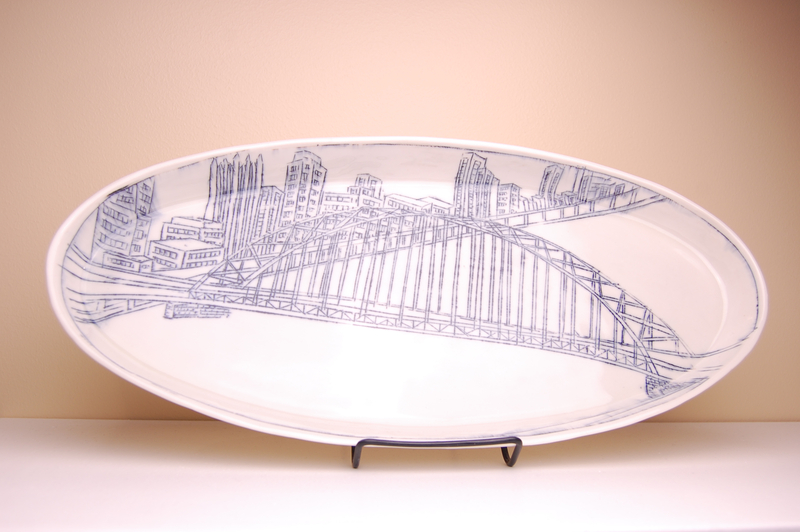 Last year I was commissioned to make this platter as a gift for executive directory Lynn Gervens, from her husband Richard Freierman. Richard had the piece made for Lynn for the 100th year of the Broadway Theater in East Somerville, now home to Mudflat. 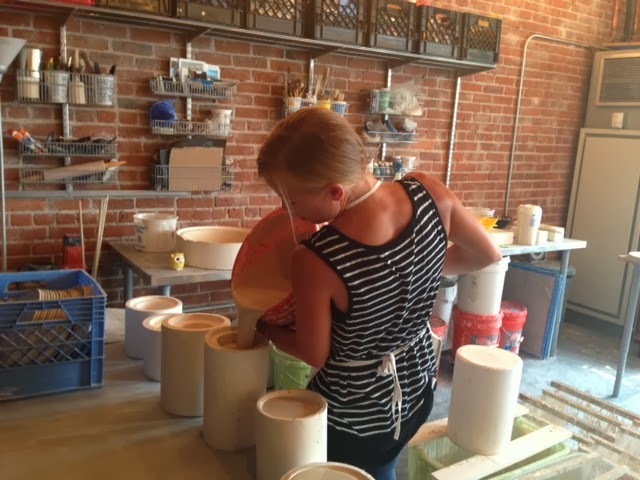 Since 1971, Mudflat has offered the Boston area the opportunity to work and play in clay as a professionally run ceramics school. 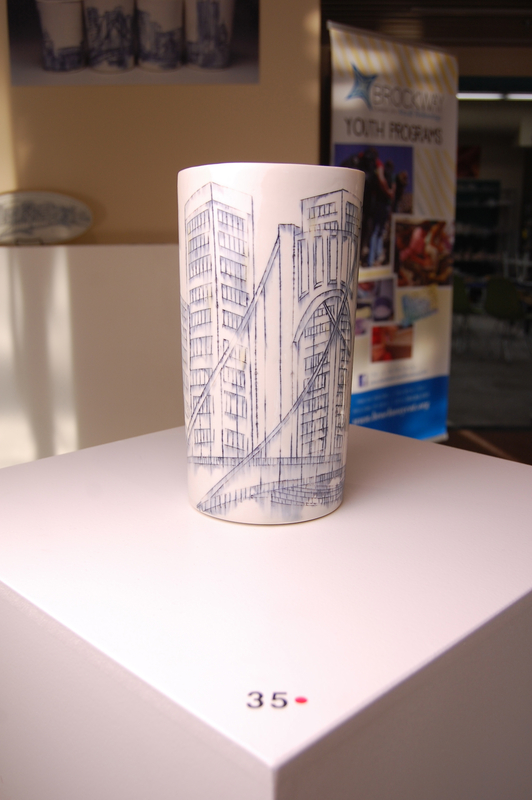 It is also home to 34 studio clay artists and several open studio events throughout the year. It was truly an honor to be asked by Richard to help document this incredible milestone and accomplishment for Lynn and for Mudflat Studios. Richard and Lynn are always a welcome sight at any event, their positive energy resonates with me long after they’ve gone. Thanks for being so awesome Richard and Lynn! 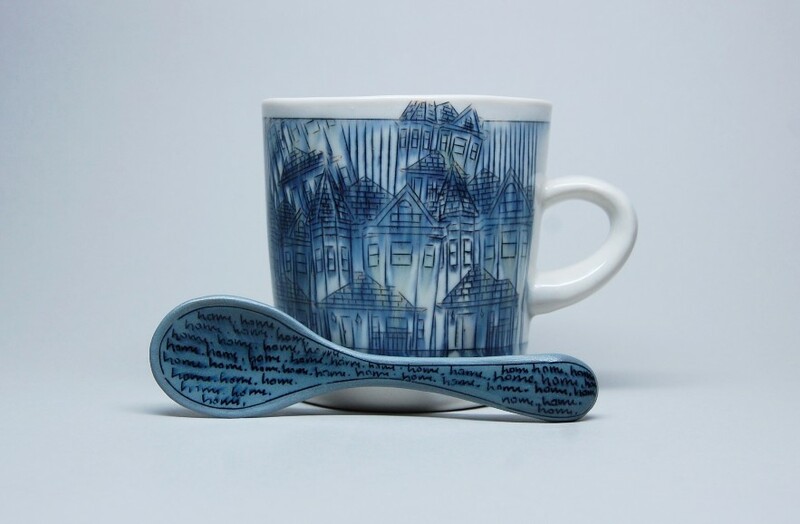 With these details she provided the corresponding photos, so that I was able to document the house in it’s entirety - with details of the front of the house on the front of the mugs, the back of the home on the reverse, and the staircase on the interiors. My heart melts :-) Thanks so much for sharing your story with me Karen! 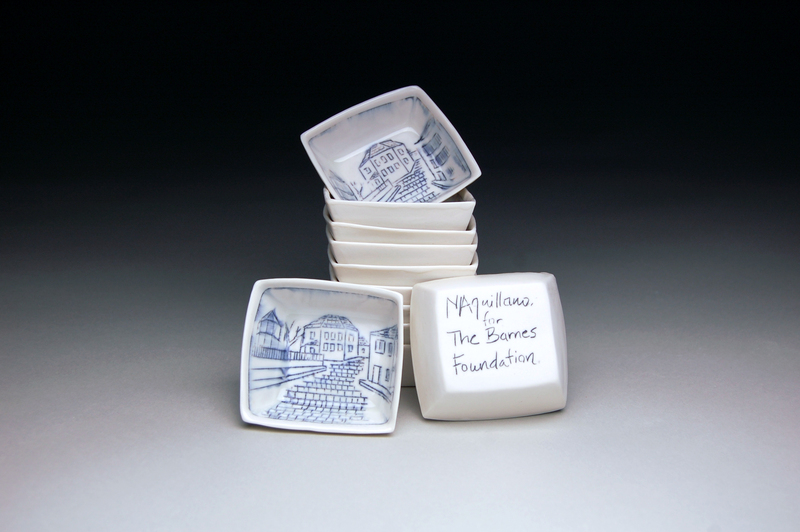 Interested in capturing your memories in a one-of-a-kind porcelain piece of tableware for your loved one? Check out my most popular custom pieces here, and contact me (nicoleaquillano@gmail.com) if you have any questions at all! One of the most memorable custom pieces I've created this past year captures a truly heartwarming story. 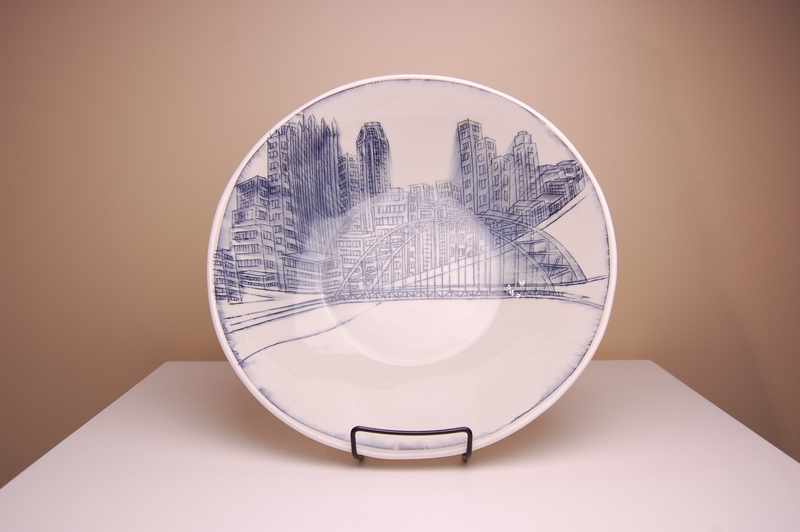 Kimberly Allison and her mother commissioned me to create a custom plate with an inlaid image her grandmother’s home. Kim’s grandfather was born in the house in the 1920’s and her grandmother has lived there since they were married in the '40s. Her mother was born and raised there and her grandmother often cared for her there as a child, so this one home holds almost 100 years of family history. Unfortunately, her grandmother’s health began to fail and she was forced to move out of the home. 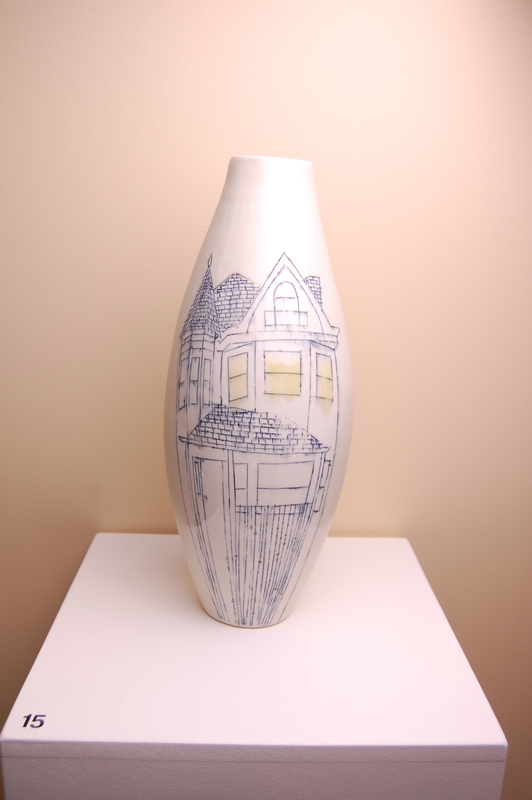 Kim and her mother wanted her to have a way to remember the home. Since leaving the home, Kim’s grandmother has been living in hospice care in an assisted living facility. She keeps the plate in a stand on her bureau surrounded by photos of her family where she can see it and its many memories every day. Interested in creating a custom piece of your own? Visit my custom work page for more information! 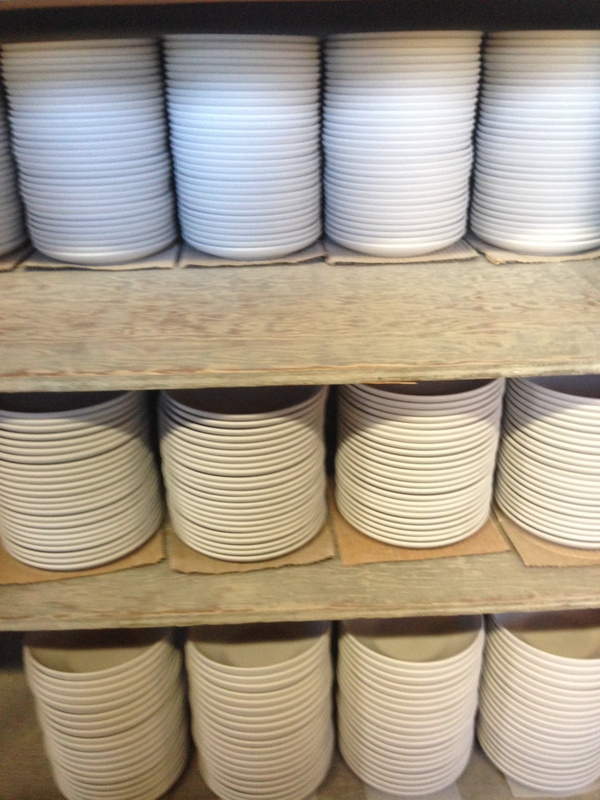 One of my favorite commissions to date is an eight-person dinnerware service I crafted for Alyce and Chris’s wedding registry. Alyce and Chris met nine years ago at Skidmore College in Saratoga Springs, NY and married last May in the beautiful Berkshires. They are both from Boston, moved to London shortly after their wedding, and cannot wait to return to their home city at the end of next year. 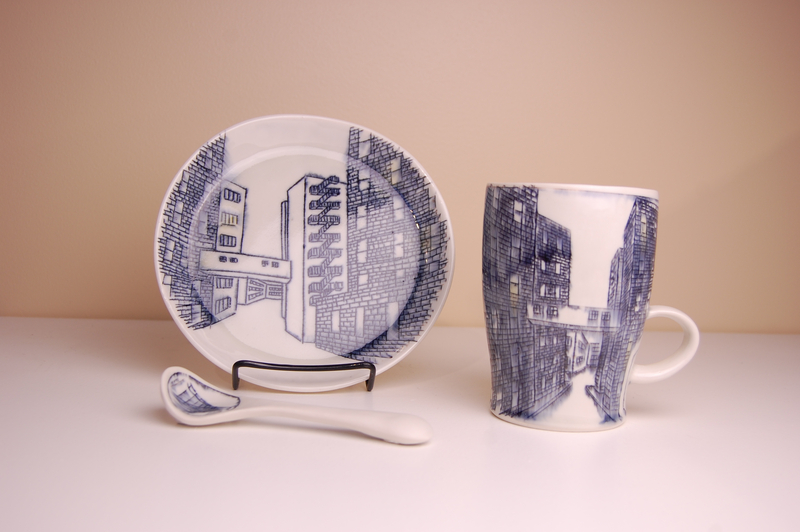 For their dinnerware set they provided images of their grandparents’ houses, childhood homes, college dormitory, first apartment and other meaningful locations. 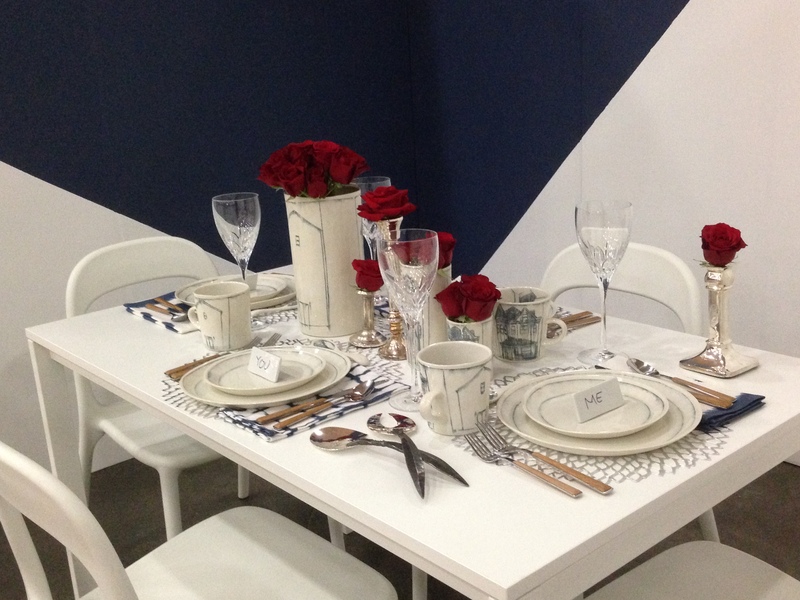 Each place setting in the range represents one of the homes. 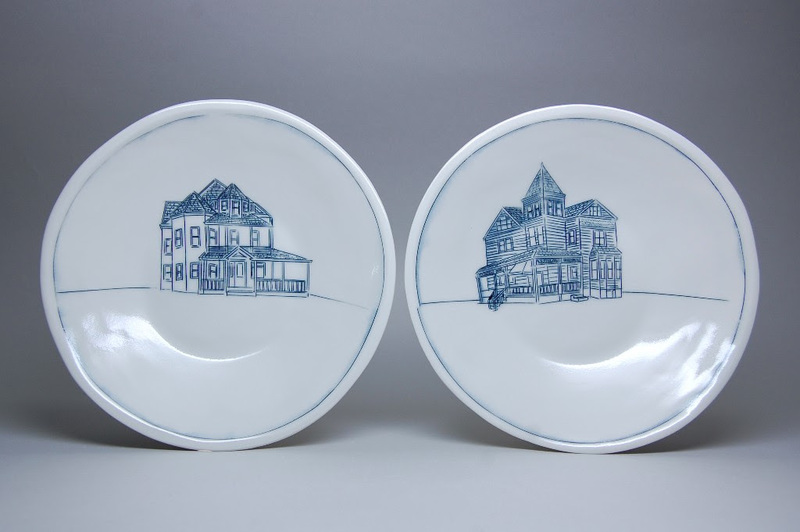 The dinner plates show the homes in full, while the salad plates, cups and bowls show intimate details, such as a front door or set of stairs. 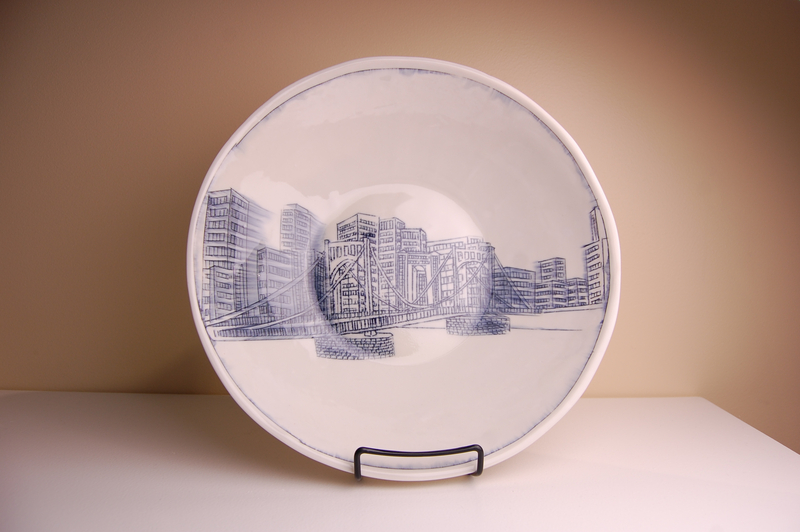 Some of their guests even commissioned their own pieces for the set, including a set of sushi plates with inlaid images of the Boston and London Skylines. 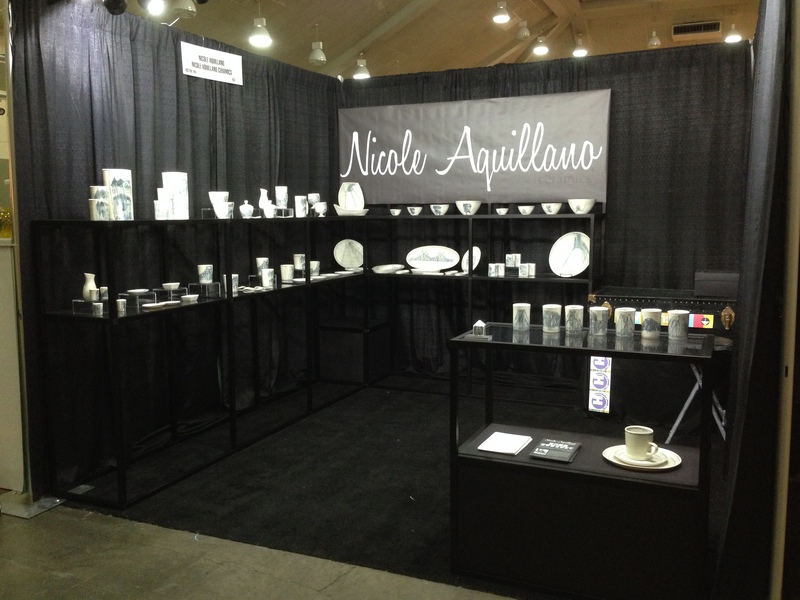 Interested in being featured on the Nicole Aquillano Ceramics Blog? 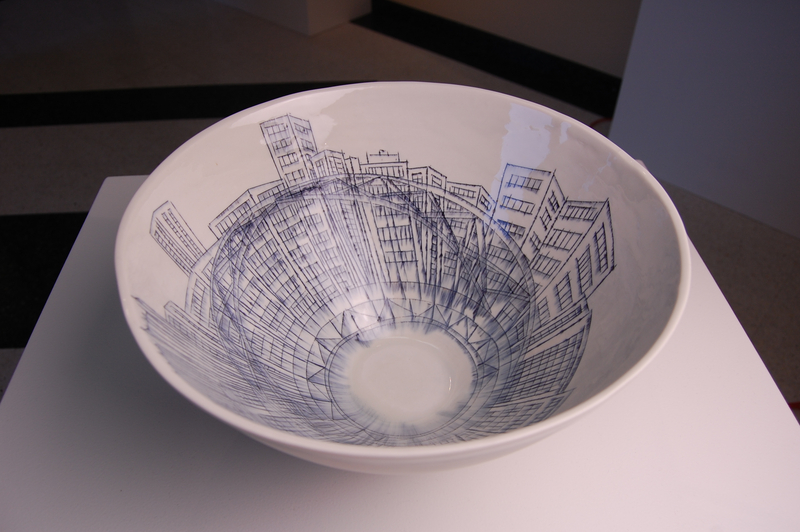 NCECA, ACC Atlanta, Smithsonian Craft Show...and your chance to be featured on my blog! Hopefully I’m not jinxing us by saying this, but it looks like we made it through another winter! Phew! 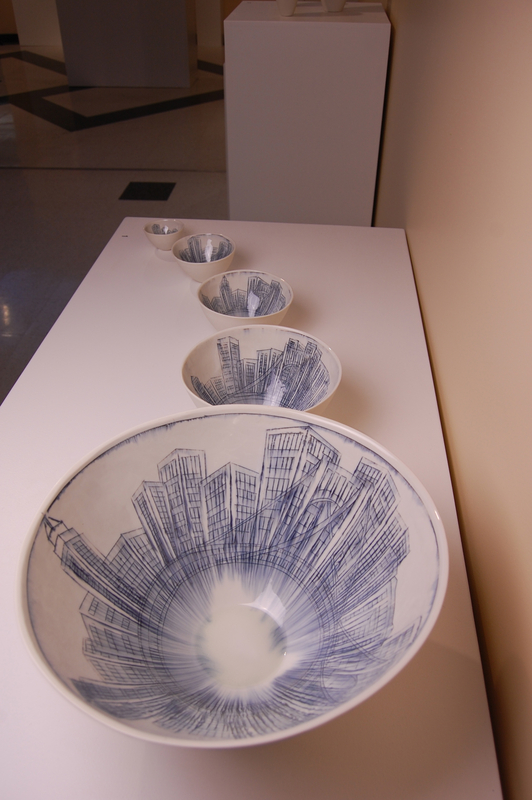 I’ve been busy this winter making work for the National Ceramics Conference (NCECA) coming up in Kansas City this month! 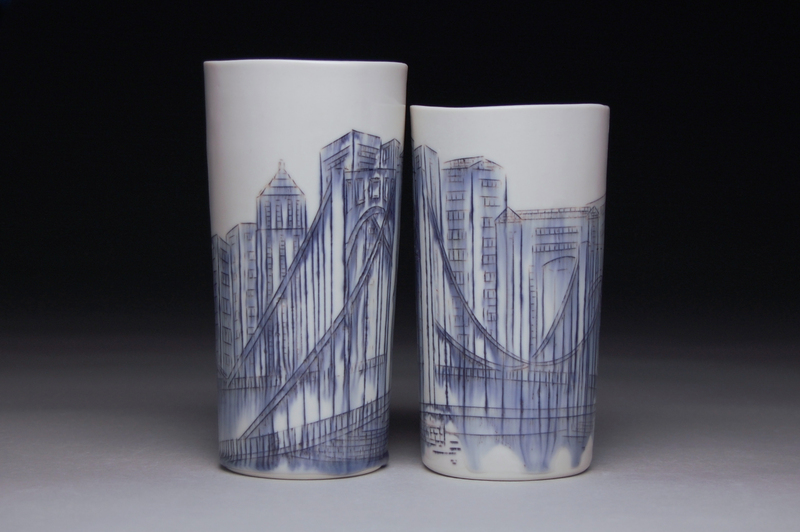 I’m excited to be showing some new work with Baltimore Clayworks at the Expo, with the Clay Studio for their 100 Cups Project at the Expo, and with Sherry Leedy Gallery for their Red-Hot Shop! If you have time, please stop by and say hello to my work for me :-) There’s some new blues mixed in, I’m excited to hear what you think! After showing at the awesome American Craft Council (ACC) Show in Baltimore last month, I’m heading to Atlanta this weekend for the ACC show at the Cobb Galleria! If you’re in the area, please stop by and say hello! The show is open this Friday (tomorrow!) through Sunday. And finally, next month, I’m excited to announce that after running the Boston Marathon, I’ll be heading to DC the next day! I’m truly honored to be one of 120 artists showing at the Smithsonian Craft Show taking place at the National Building Museum April 21st - 25th! As soon as I’m back in the studio next week I’ll start using this gorgeous building as inspiration for some new custom work! Speaking of custom work, I’m also excited to announce that the past month I’ve been working with students from Boston University’s PR lab to kick off some custom work blog features! Each post will highlight the unique stories behind the custom pieces customers (like you!) have commissioned me to make! If you’re interested in being featured, please just let me know! And thanks so much for your stories in advance :-) Hearing from you always makes my day! Last but not least, please join me on Instagram! I would love to hear from you and see how my work exists in your life! 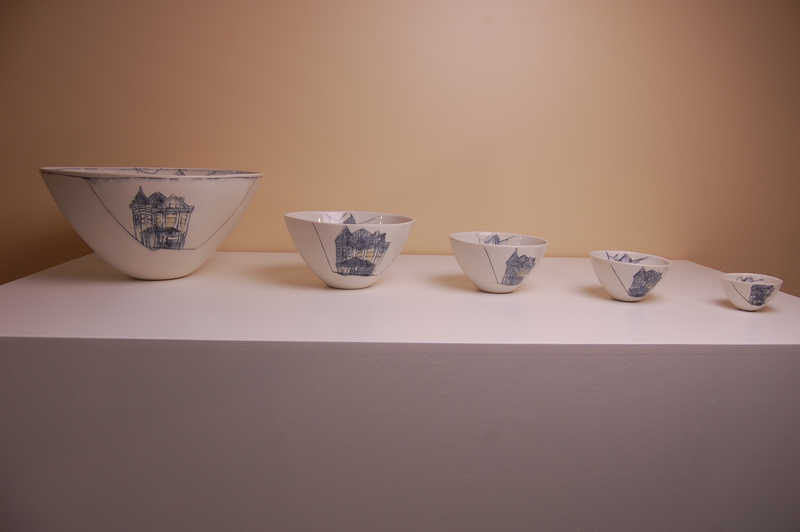 Just snap a picture of one of my pieces in use or on display and tag me (@nicoleaquillano #nicoleaquillano). You will make my day (again!) and I’ll share my favorites for all to see! As always, thank you for your continued support - I wouldn’t be here without you! I am so very grateful to each and everyone of you! And I hope to see you sometime this Spring! Super excited to be able to share my experiences as one of the artists interviewed for Think BIg 2: Mastering the Marketplace - an E-series for artists taught by Ben Carter and Molly Hatch! Each week Ben Carter or Molly Hatch host a themed conversation built around a topic that will help you discover ways to find new audiences, market your business and sell your work. These interviews are available at your own pace and will be released once a week for six consecutive weeks. After all the lectures have been posted, you will still have an additional six weeks to access course information and bonus materials to continue work at your own pace! Participants are encouraged to discuss the videos each week with a prompted discussion group online. Through the discussion board you can connect with other members of the series and reflect on questions and new ideas that come up for you each week. Molly and Ben will be watching the group discussions and joining in to add our experience with the topic. The discussions are ongoing and accessible throughout the entire series, so you can participate at your own pace, regardless of your time zone. In addition to the weekly interviews and discussions Molly and Ben will post downloadable worksheets that will help you work through topics each week and generate task lists for getting your goals achieved! The worksheets are for you to keep and work through as you engage with the course material. By the end of the six weeks, you will have gathered new thoughts and ideas, and you will have a clear direction moving forward in your creative business--on to BIG THINGS! In other news, I'm happy to be included in a few upcoming shows for Fall! First off, I'm excited to have work in three different shows in three different states, all opening this Friday, September 25th! 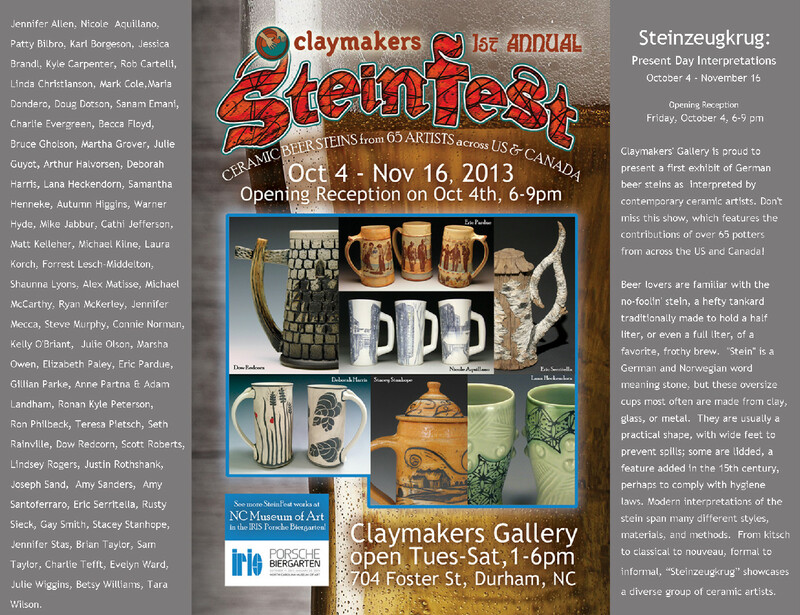 I'll have a few steins representing at Steinfest at Claymakers Gallery in Durham, NC again this year! A few cups at Starbrick Clay National Cup Show in Nelsonville Ohio! 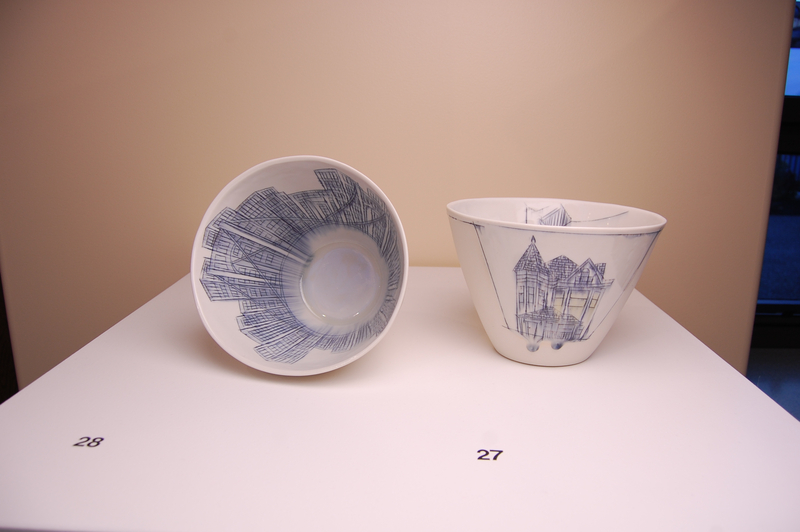 And a few pieces at the 23rd Annual Strictly Functional Pottery National in Lancaster, PA. Closer to home is the opening for Homage: Old Northern Avenue Bridge at 249 A Street Gallery, which opens this Wednesday the 23rd! Located in the heart of Fort Point, I will be there and can't wait to check out all the awesome artwork inspired by the Northern Ave Bridge, my favorite bridge in Boston! 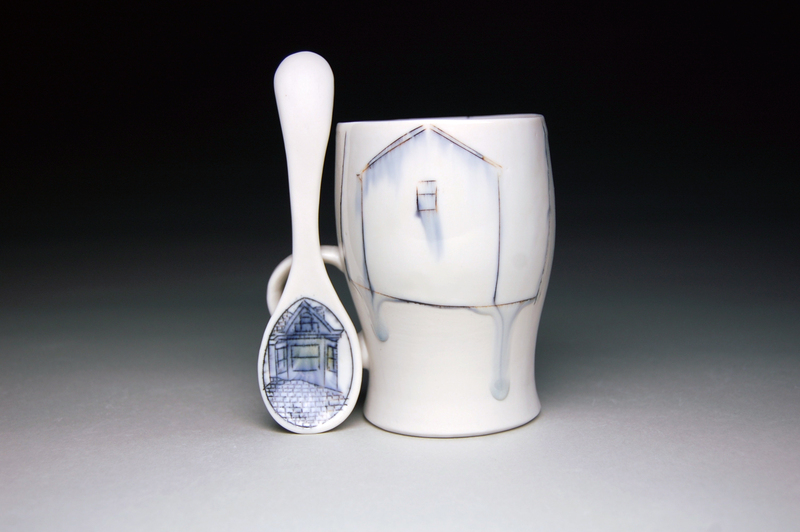 I'm also so very excited to be included in Cup: The Intimate Object XI at Charlie Cummings Gallery! With an opening reception Friday October 2nd from 6-9pmin Gainesville Florida, and online opening Saturday the 3rd, it's a sure to please, not to miss event! 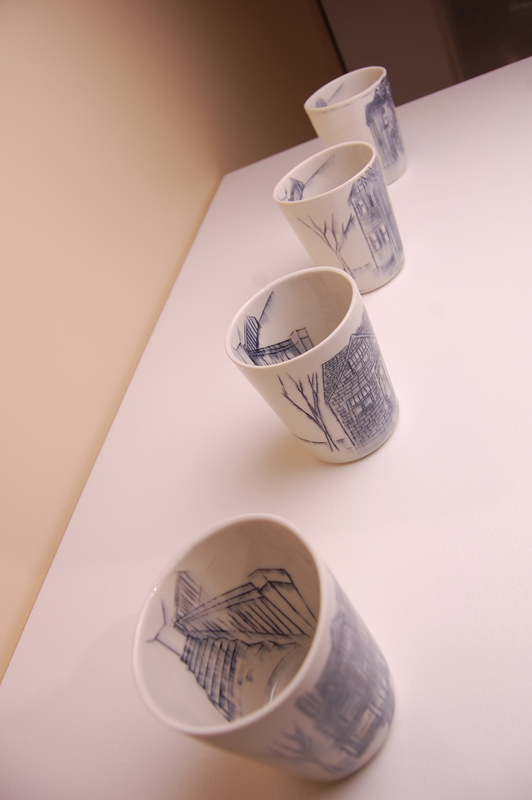 I can't wait to see all the cups from all the amazing artists! And again, thanks for all your support and for making my life as a potter possible. I wouldn't be able to do what I do without the support of people like you! XOXO, tons! Hope to see you soon! And now I'm back in the studio, fully inspired, ready to make some new pots! 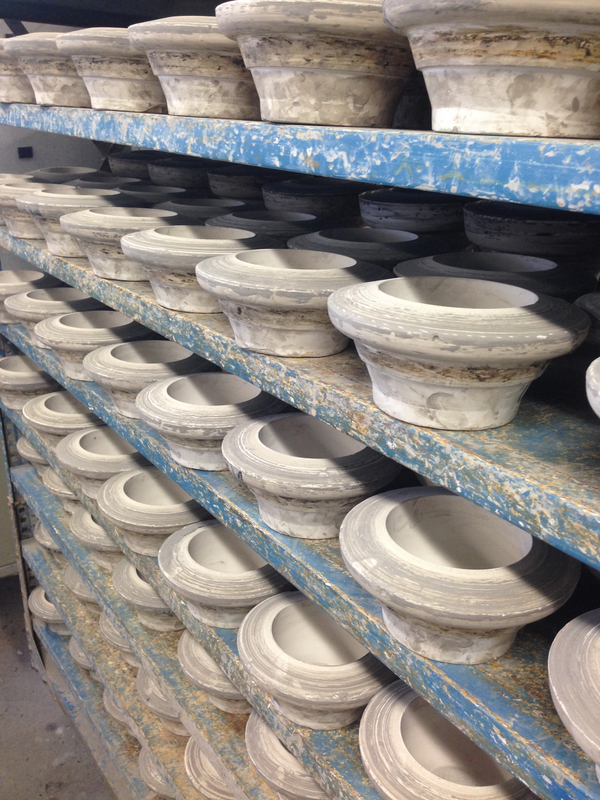 Stay tuned for others like these bowls below! Well April went fast! 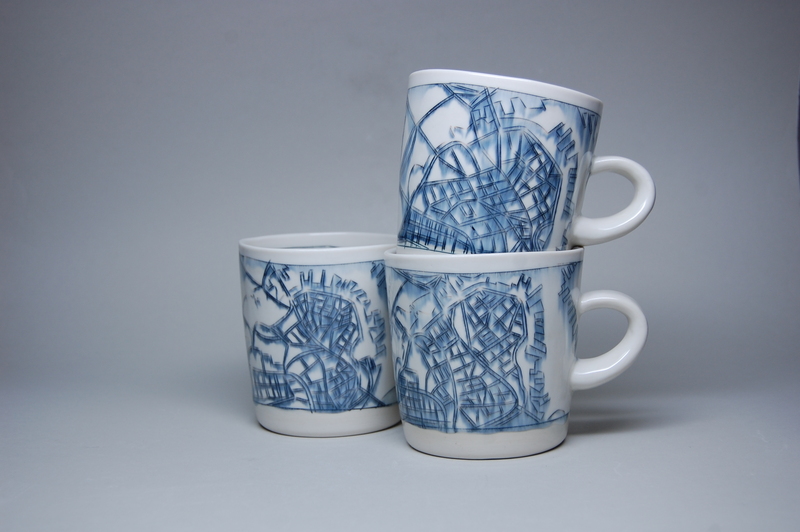 I've been busy working away in the studio, making some new work, running the marathon(! ), and spring cleaning! Come see what I've been up to and check out these sure to please events coming up this month! 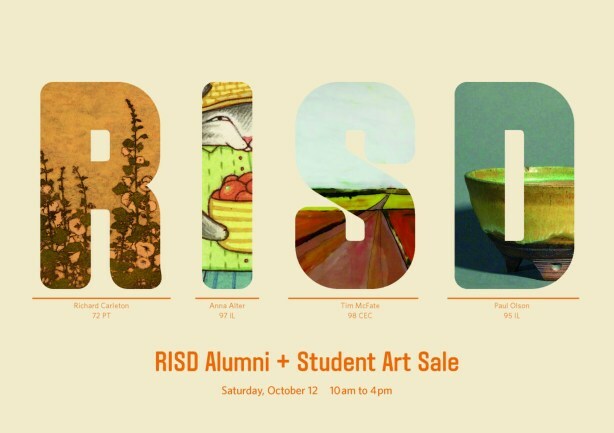 RISD Alumni Sale - May 2nd, 10-4pm (this Saturday!) Fort Point Open Studios - May 15-17th (Friday 4-7pm, Sat & Sun Noon-5pm) Workshop at the Currier Museum of Art - May 30th And as always, thanks for your support! 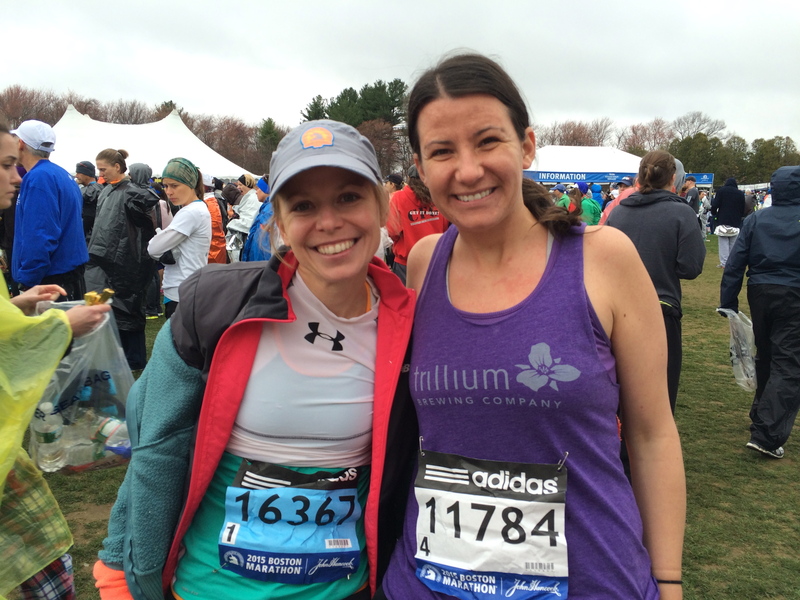 Me and my friend Regina about to run the Boston Marathon! Well almost. 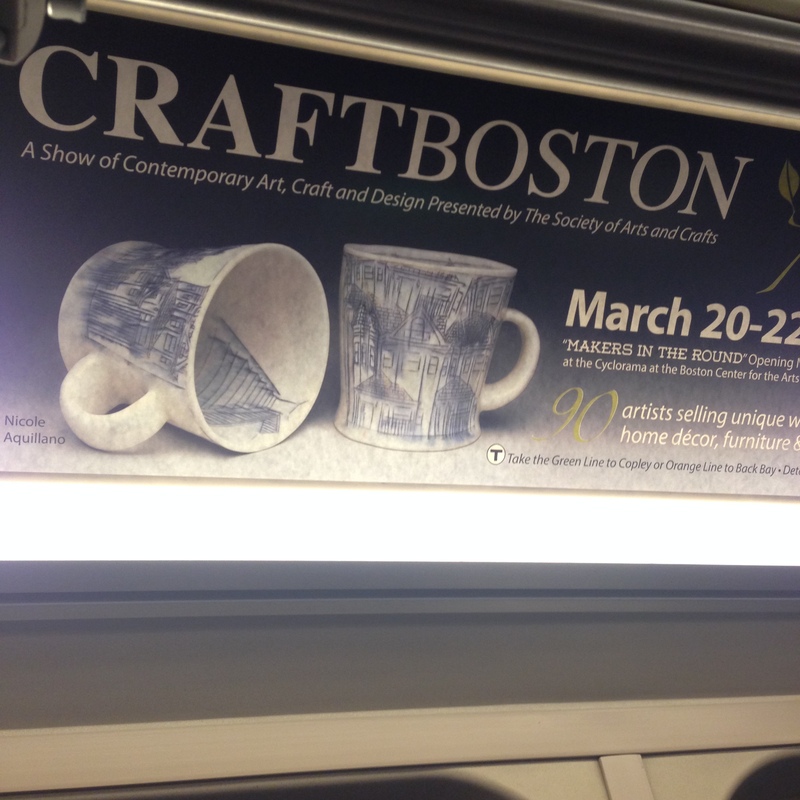 Come celebrate the start of Spring with a weekend at CraftBoston! Thursday night join us at Makers in the Round for a sneak peek at what I've been up to all winter, along with 90 other artists! Plus drinks and snacks - all at the historic Cyclorama in the South End - it's sure to be a great time! And come back to visit us Friday-Sunday while we keep the party going! 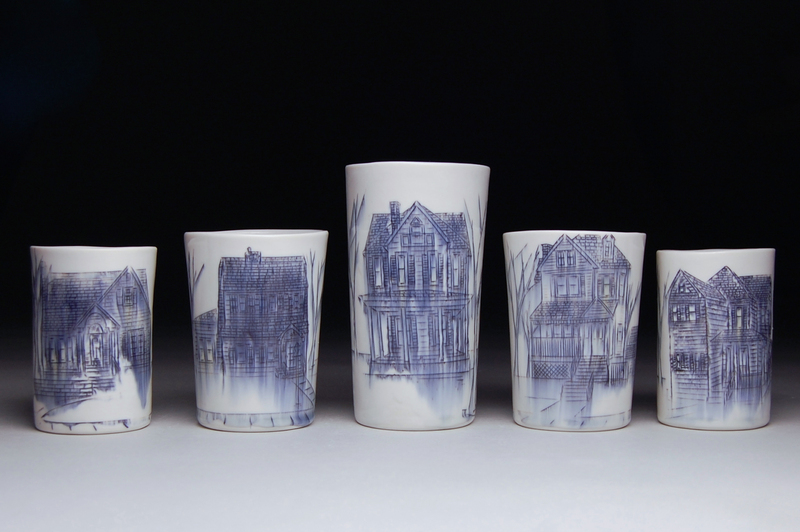 New work - Whiskey cups with maps of Boston! Advertisement on the Orange Line! 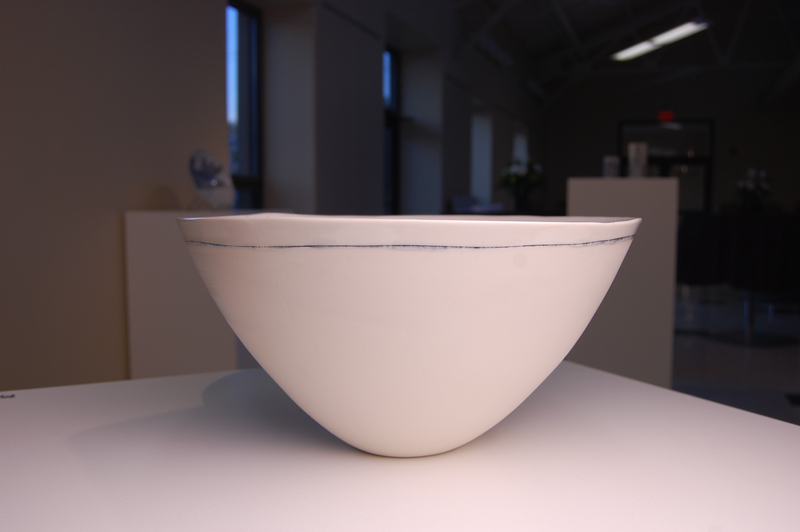 Then next week the National Ceramics Conference (NCECA) arrives in Providence! So excited for all the inspiration and old friends that will be coming my way! If you plan to be near Providence, I'm showing some new work in Pawtucket at the Candita Clayton Gallery in Line and Form! The opening is Friday March 27th at 6pm! Also on Friday the 27th, I'll be speaking about my work at the Reilly Gallery at Providence College with a few other ceramicists starting at 3pm as part of an Artists Forum: Ceramics Mini-Symposium! 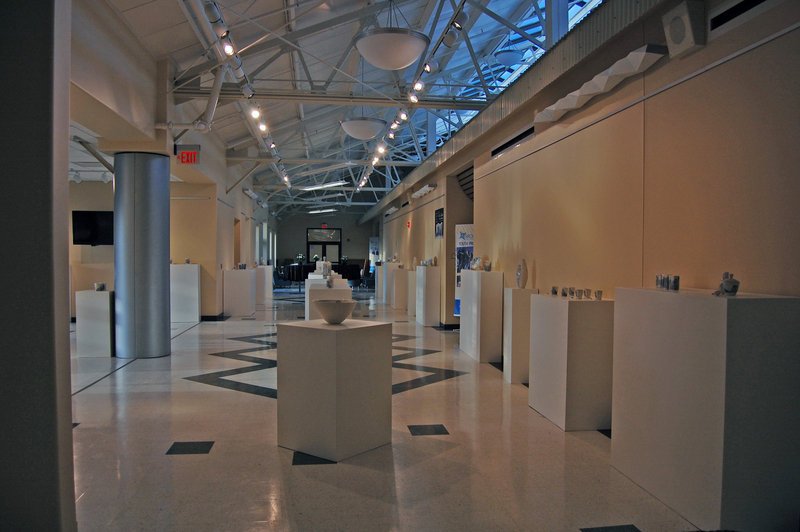 Then Saturday the 28th, stop by the Fuller Craft Museum for The State of Clay: Pushing Boundaries show opening from 1-4pm! 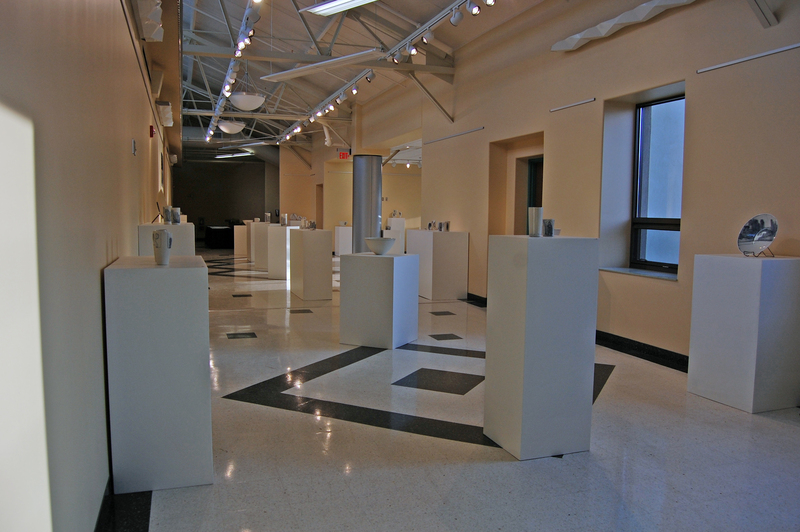 Can't wait to see so much great ceramics in one place! And finally, if you stop by the Providence Convention Center during NCECA be sure to check out my work with the Clay Studio in the Expo - I'm super excited to have work with them this year! 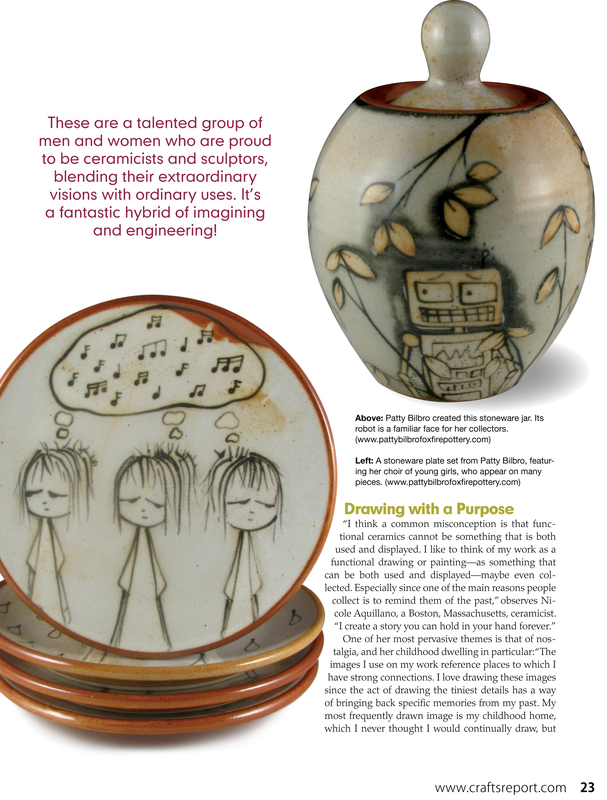 And last but not least, check out the article* in the April issue of Ceramics Monthly about my career change! Definitely a dream come true :-) Thanks for all your support in getting here! Hope to see you this Spring! 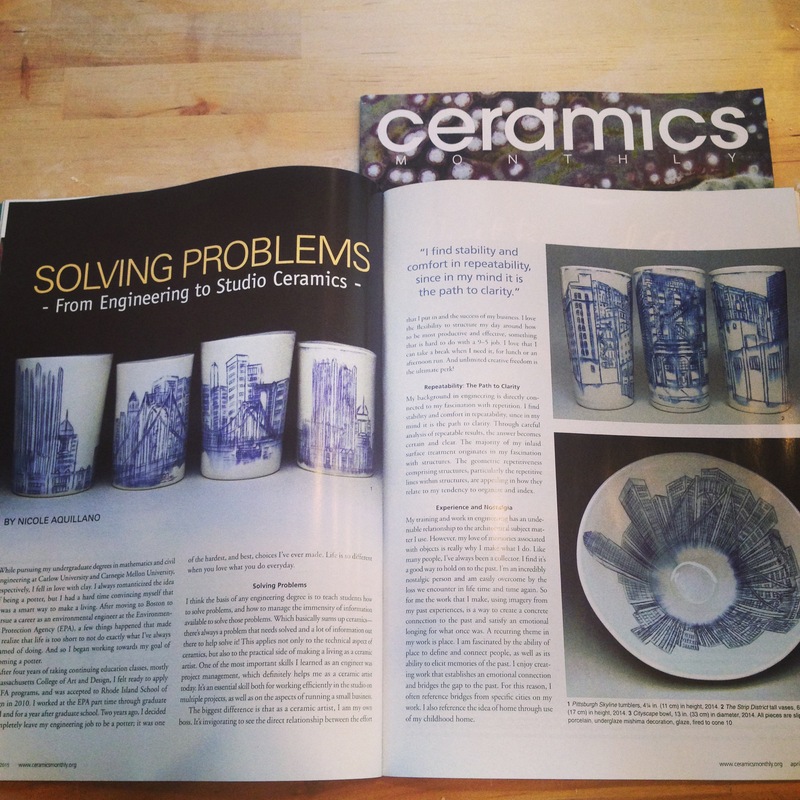 *Originally published in April 2015 issue of Ceramics Monthly, pages 34-36. http.//www.ceramicsmonthly.org. 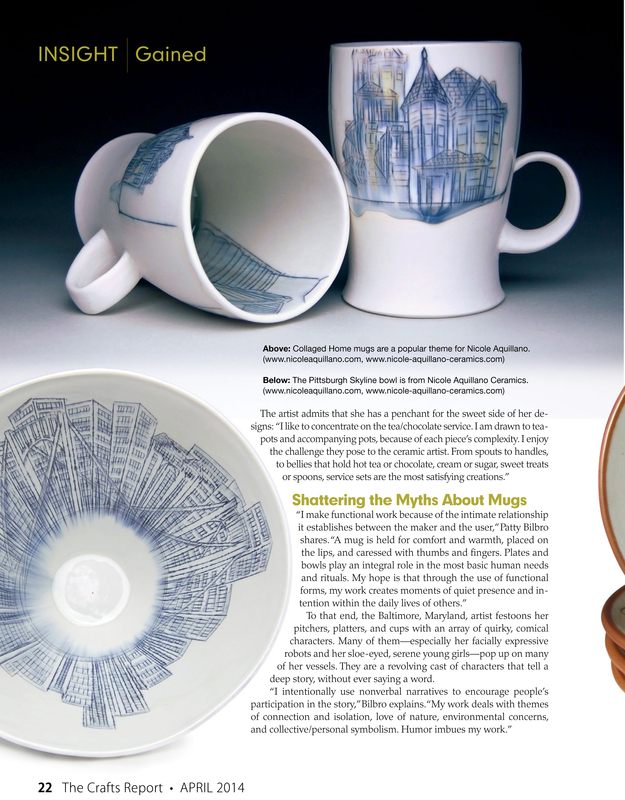 Copyright, The American Ceramic Society. Reprinted with permission. 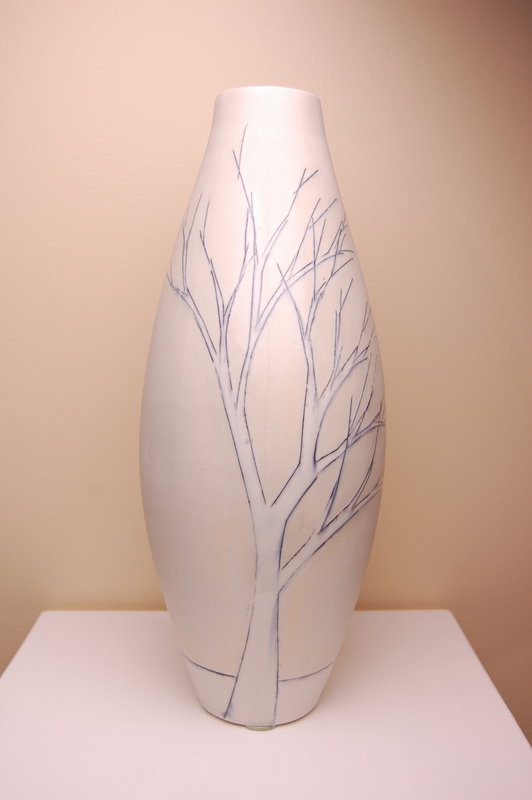 And stay tuned for the AKAR Yunomi Invitational opening May 15th! These little gems will be online along with work from some amazing artists! Can't wait to see them all in one place! Hope you are having a great January and survived the huge blizzard! 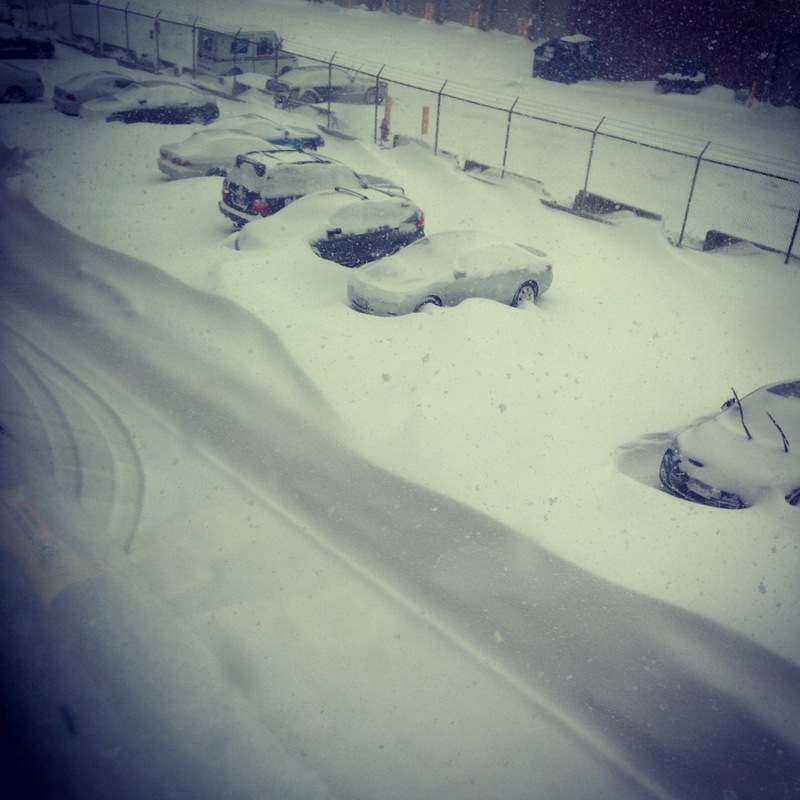 I watched the storm out of my studio window while finishing up work for this weekend at NYNOW - a trade show in NYC. 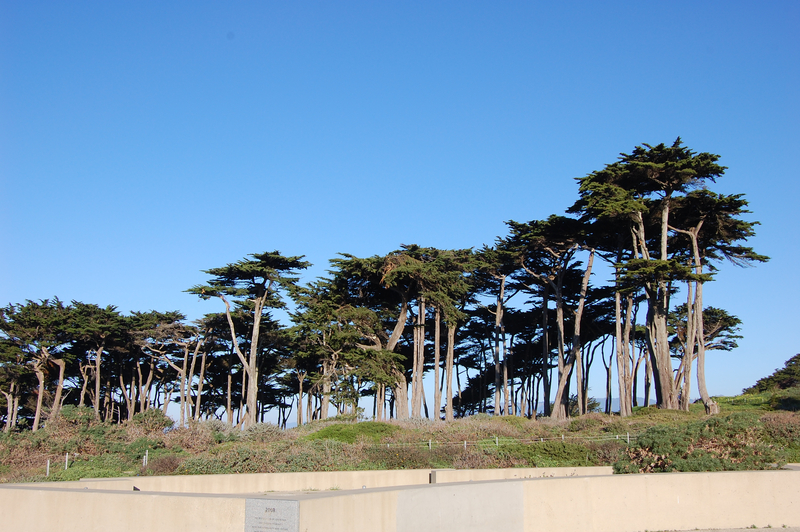 Here's a peek at what I saw: This month has gone by quickly in preparation for the coming year, and a trip to San Francisco for some much needed inspiration. What a gorgeous city. The January weather is amazing (a phrase I never thought would come out of my mouth) and the architecture is incredible to top it all off! 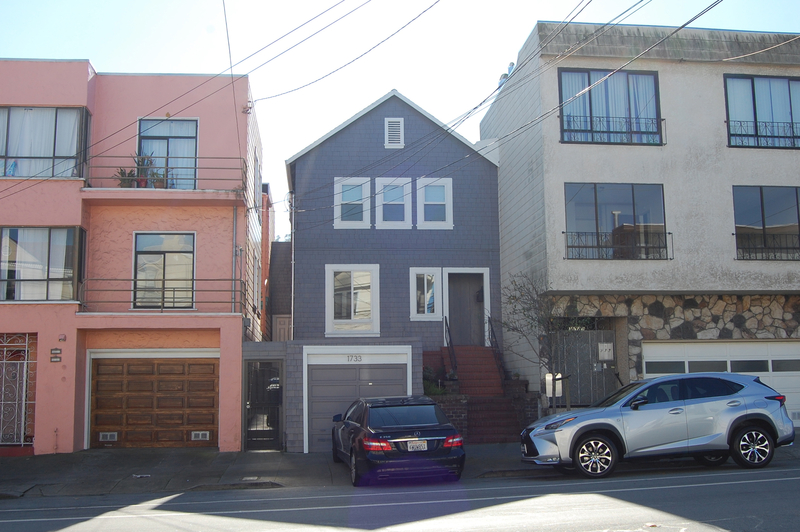 No wonder people always mistake me as coming from San Francisco...it didn't take much to imagine living in this middle house, with a studio in the garage! 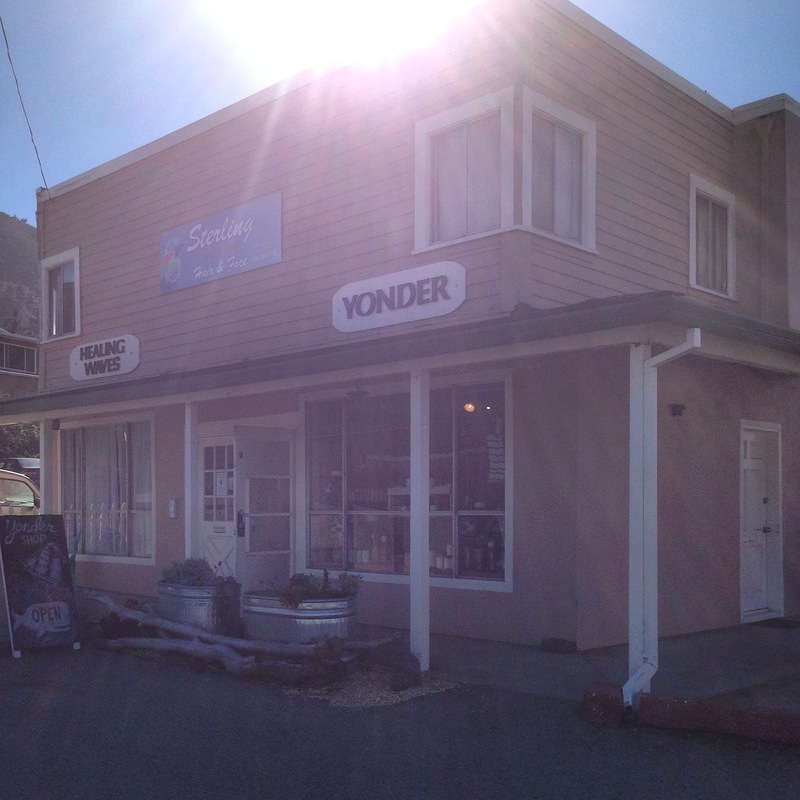 Made it out to the Heath Factory in Sausalito and took an awesome factory tour... And made a trip down the coastline to visit an amazing pottery Linda Fahey at her shop, Yonder! It was like a little slice of heaven. 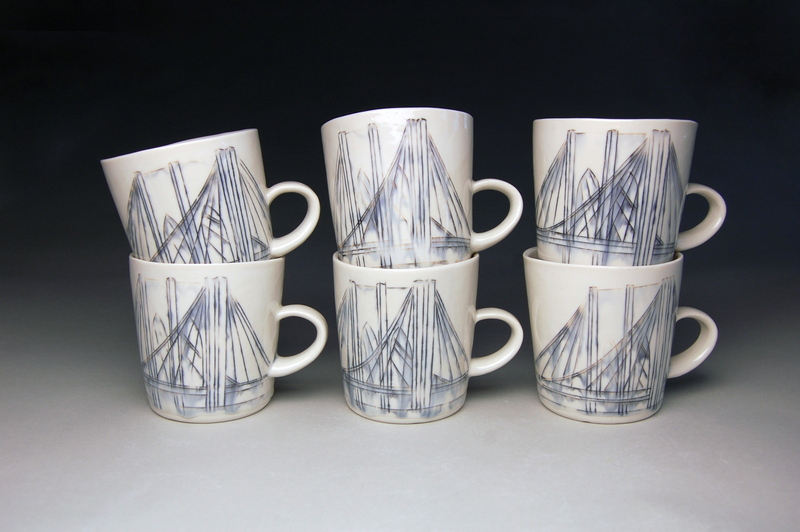 And now I'm back in the studio making work for NYNOW next weekend, and then ACC Baltimore next month! And starting to get excited for NCECA in March! With work to make for a group show and a talk to give at another gallery! Who knows, maybe I'll use my San Francisco inspiration for this work! How could I not! 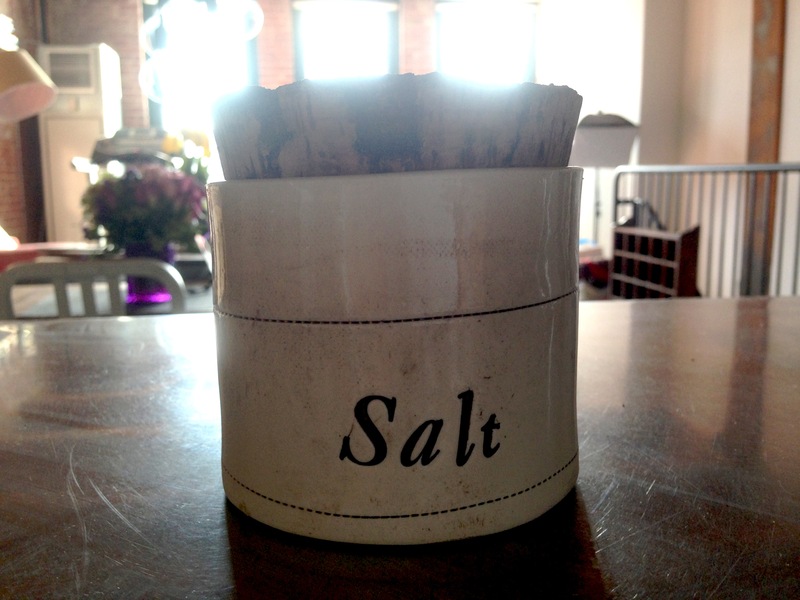 I'll leave you with a pic of my lovely new salt cellar made by the talented Linda Fahey herself: Take care and hope to see you soon! Stay warm! 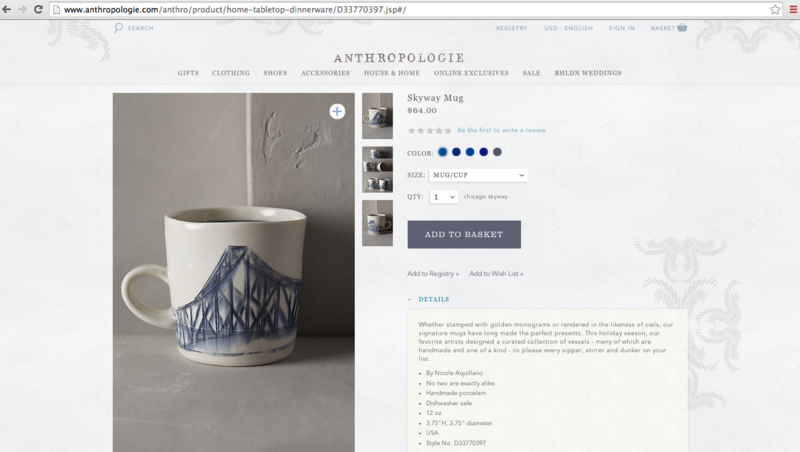 My mugs are now in Anthropologie! Both in stores and online, it's so exciting to see them finally there after all the work that went into making them, packing them, and shipping them! 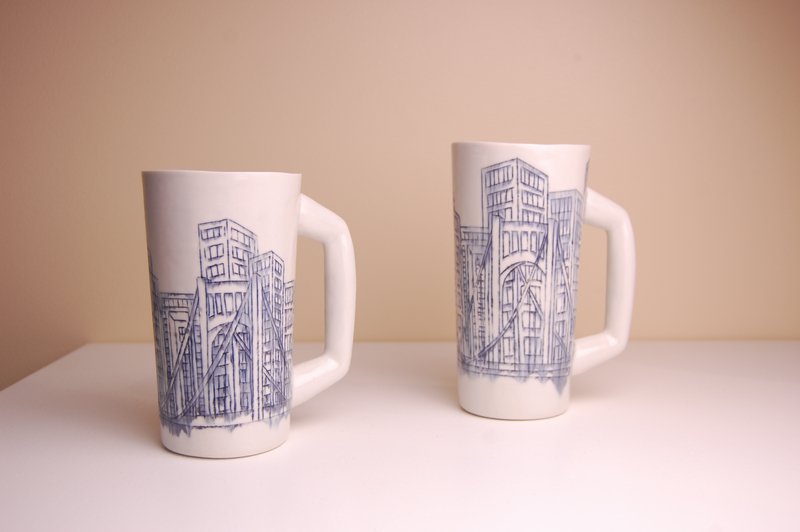 Check out their website for all the work by awesome potters in their handmade holiday mug shop! 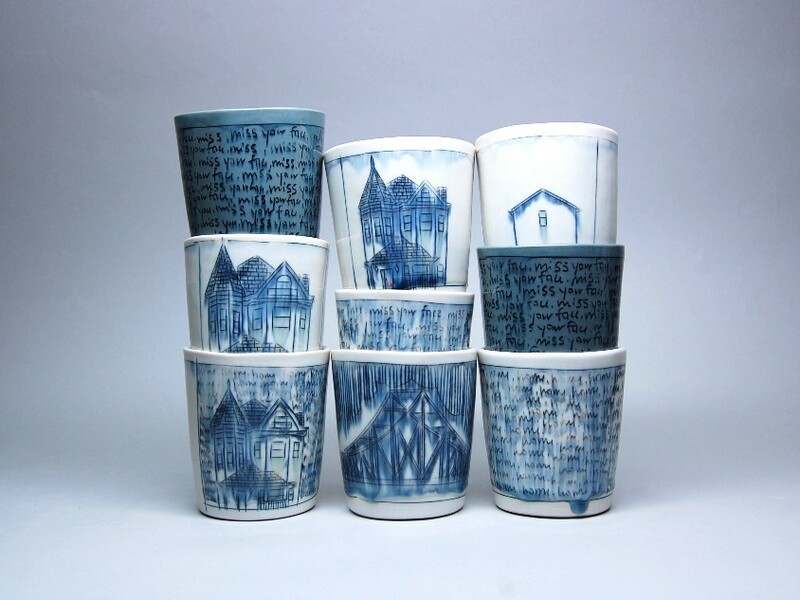 Come celebrate with me tonight from 6-8 at Society of Arts and Crafts on Newbury street at the opening of Our Cups Runneth Over! 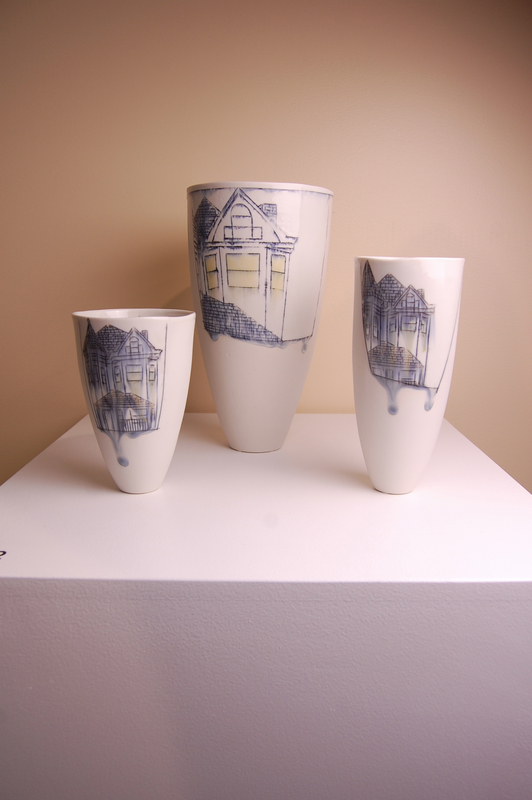 I am so thrilled to have work in this great show, among the company of so many great potters! 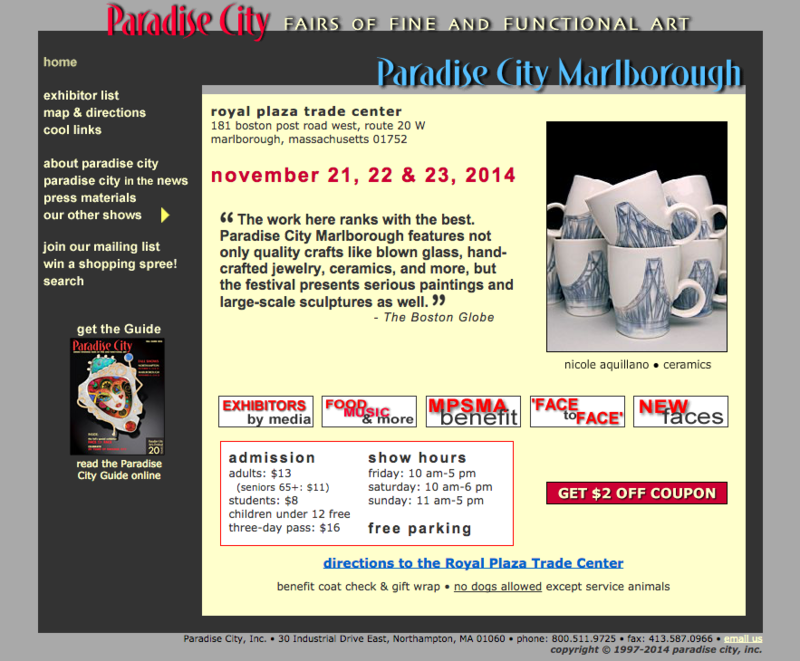 Please join my at Paradise City in Marlborough next weekend, November 21, 22, and 23rd! 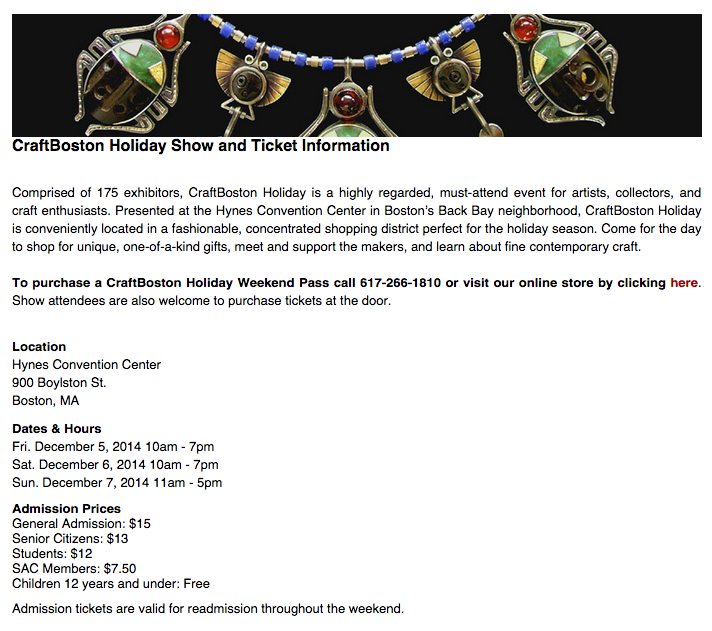 I'm also looking forward to CraftBoston, coming up December 5, 6, & 7th! Hello Friends! Happy Fall from the studio! It's been an insanely busy summer, and I just wanted to fill you in on what I've been up to and what's coming up! 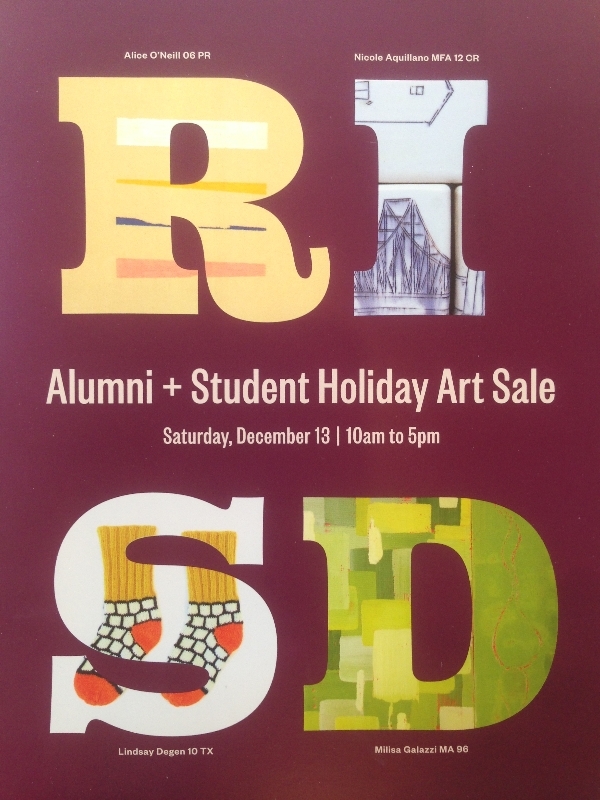 This weekend please join me in Providence for the RISD Alumni Sale! Fellow RISD alumni and I will be showing off our work on Benefit Street from 10am-4pm. 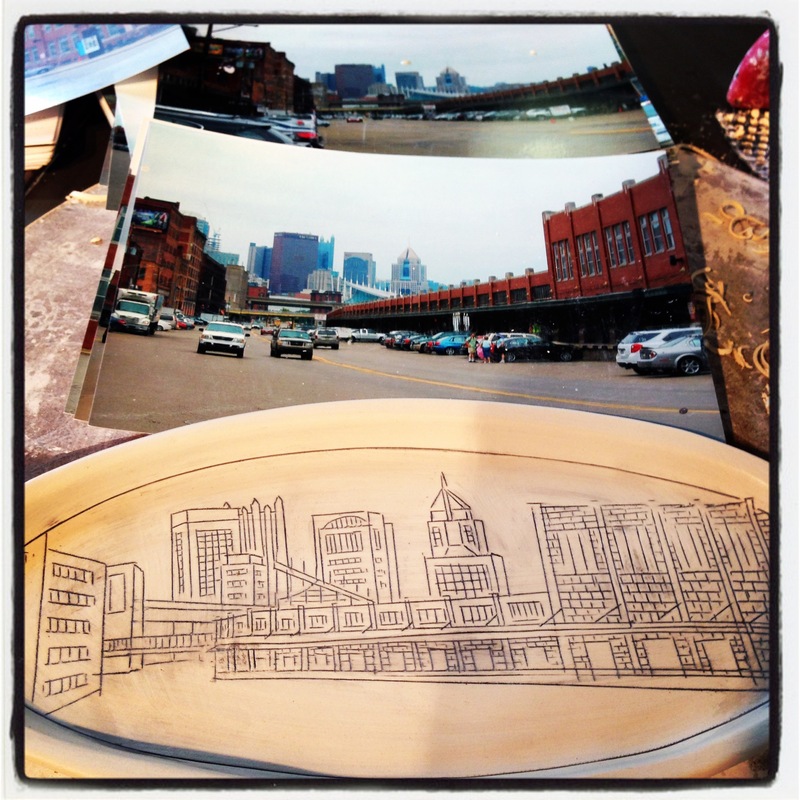 Come enjoy the gorgeous fall weather and take home some awesome art! Then next weekend, October 17-19th, come join me and my fellow local artists for Fort Point Open Studios. Enjoy demos and take a peek at what we've been working on all summer! Visit us Friday, October 17th from 4pm-7pm and Saturday & Sunday, October 18th & 19th from 12-6pm! I'm in Midway Studios #211! Can't make it to any of these events? Check out my online feature on One King's Lane premiering this Saturday, October 11th! 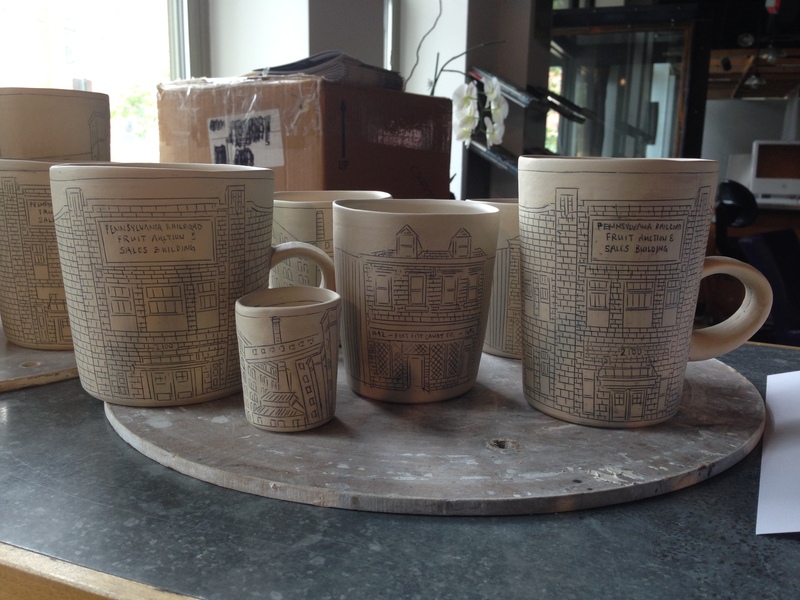 Or check out my work coming soon to an Anthropologie near you! I'm excited to be a part of their Holiday Mug Shop, an in-store and online shop of handmade mugs from various potters around the country! 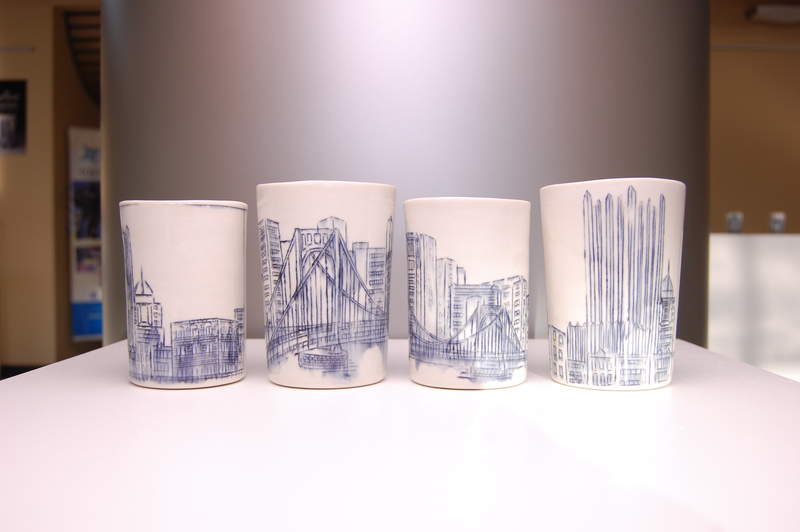 I've been busy busy busy the last few months working on sending them 975 mugs featuring bridges from Boston, San Francisco, Philadelphia, Brooklyn, and Chicago! 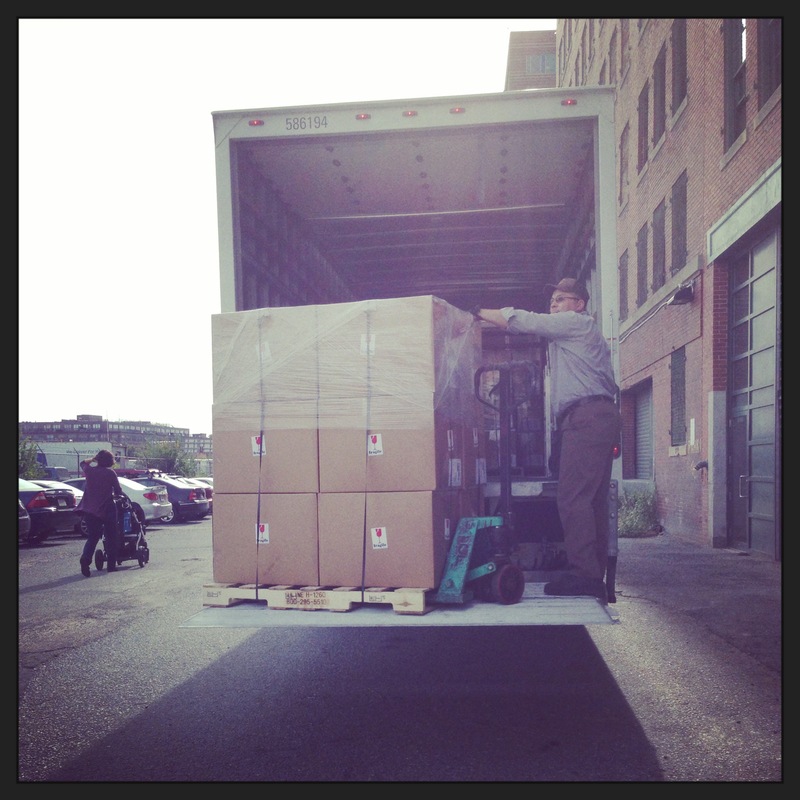 It was quite a feat, but I'm happy to say they are all palleted and on their way! 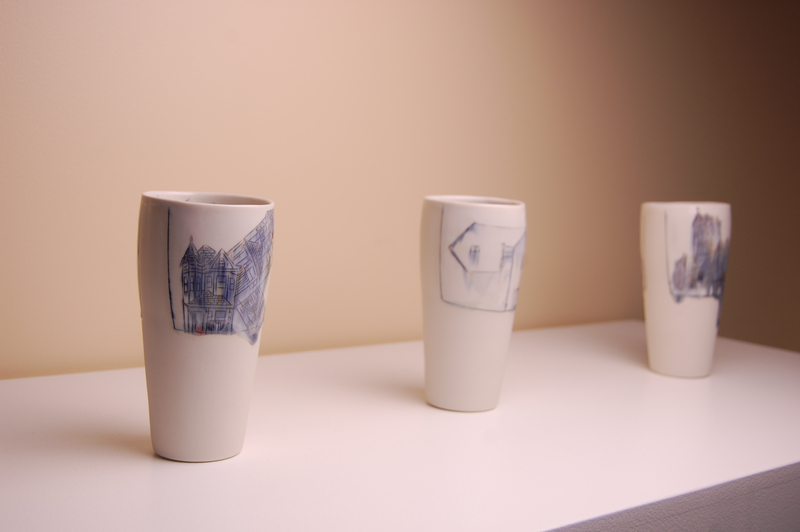 Also, if you find yourself in Pittsburgh this fall, stop by the Society for Contemporary Craft in the Strip District, where I had a great time this past summer as an artist in residence! I had the opportunity to set up a studio in their gallery space for three months, to talk to people about my process and work, while actually making my work! 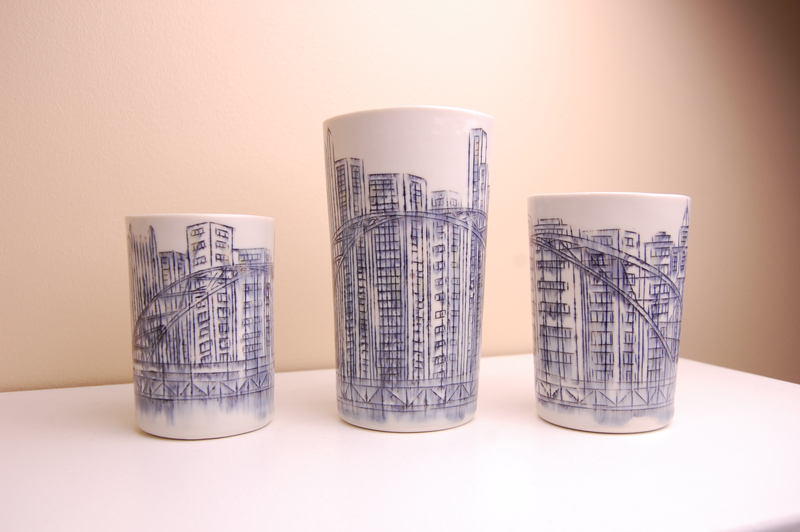 While there, I made bunch of one-of-a-kind work, all about the awesome city I grew up in. It's on display and sale for my LEAP feature in the gallery store this month! 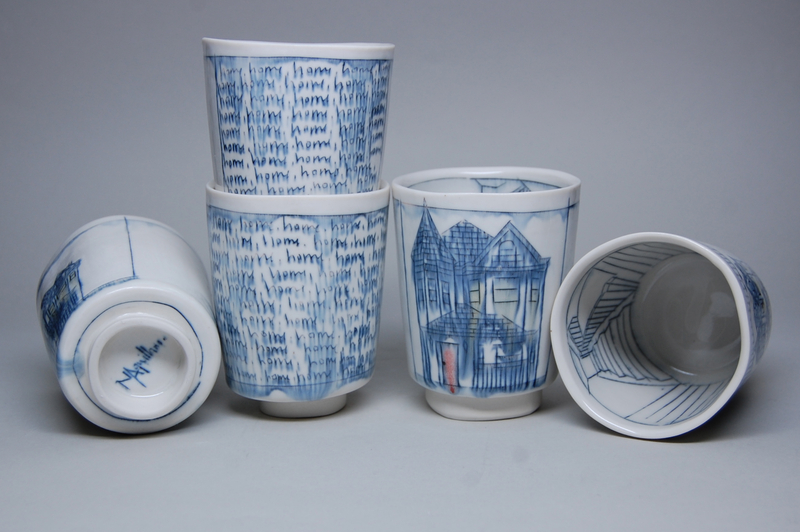 And finally, opening this month at Society of Arts and Crafts on Newbury Street is the biannual cup show, Our Cups Runneth Over: Sculptural and Functional Cups. I will have a some one-of-a-kind work in the show, along with work from an amazing group of artists. 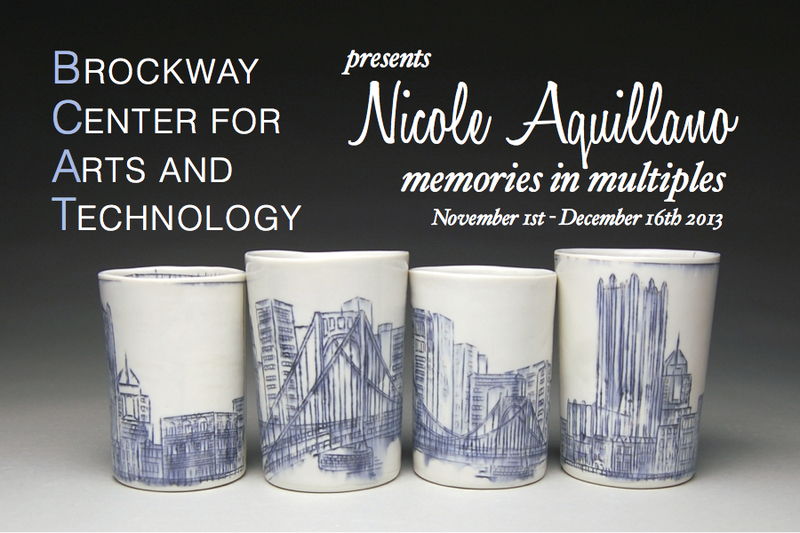 Stop by the opening Nov 14th from 6-8 to check it out! And next month stay tuned: I'm super excited to be packing up my work and heading to Philadelphia to show at the Philadelphia Museum of Art Craft Show this November! 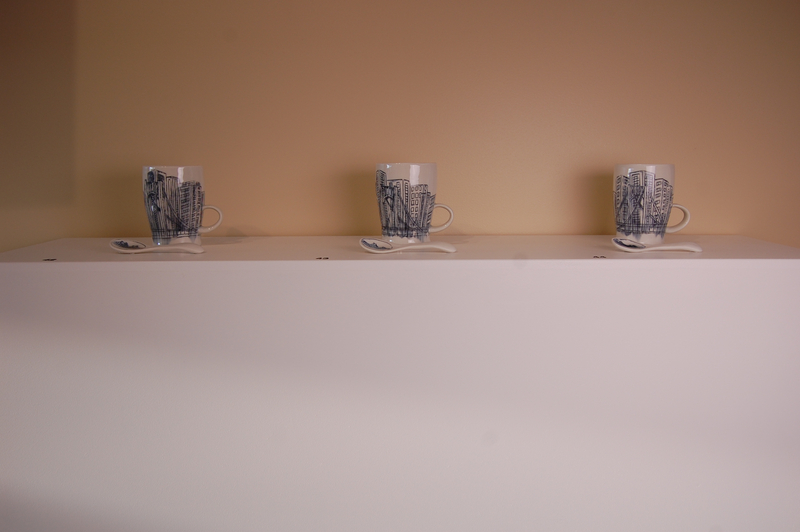 Although I expect my work to function in everyday life, I also expect my work to be collected and displayed. I present my work in such a way that each piece is considered as both an individual object and also as a small component of something bigger than itself: part of a collection. As a child, I collected a wide array of objects; from stamps to baseball cards to coins and more. I would amass large amounts of objects and carefully organize them, only to be reorganized again and again. But more importantly than this, I began to collect objects that reminded me of moments I wanted to chronicle in my mind: such as the Roberto Clemente baseball card I bargained for at a card show with my father when I was no older than eight. I never want to forget how amused and proud he was at my bargaining prowess. Growing up, I observed my mother collecting objects that retained memories of her child- hood and parents. She would reminisce about the past though these objects quite often. As I grew older, my mother began passing these objects and memories on to me. These objects have become an important part of my life, as reminders of my grandparents and my mother, and their emotional connection to these objects. For both my mother and me, possession of these objects is a link to the past. I will forever cherish objects like my grandmothers traveling trunk, with her name and address carved in her handwriting on the side, my grandfathers blanket and rucksack from the war, my grandmother’s wedding band: now my wedding band, and my grandfather’s wedding band: now my husband’s. Collecting is a way to preserve the past by filling the void left by the inevitable loss associated with life. Experiencing loss, and the fact that we are always in the process of losing everything we have, leaves us with an ingrained longing - for that which we will never have again. 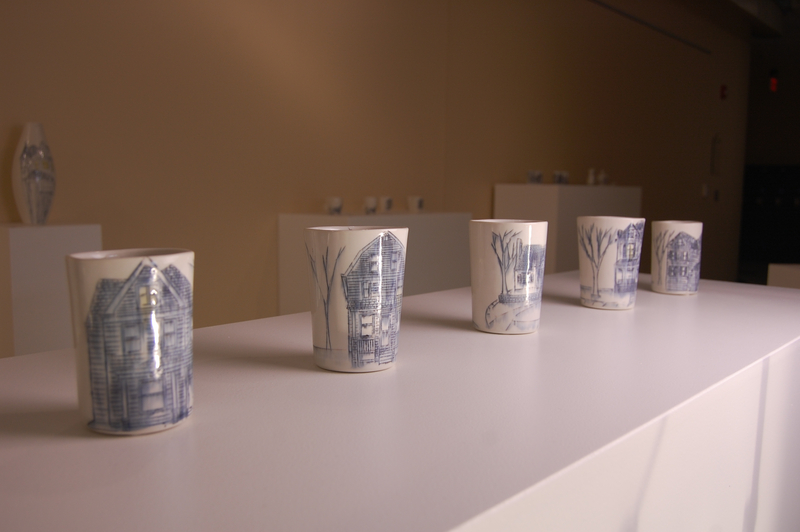 As an object maker, I pour both my past and present experiences into my work, attempting to preserve my past by retaining my memories within these objects. Perhaps this is part of the reason I have a hard time letting my work go. 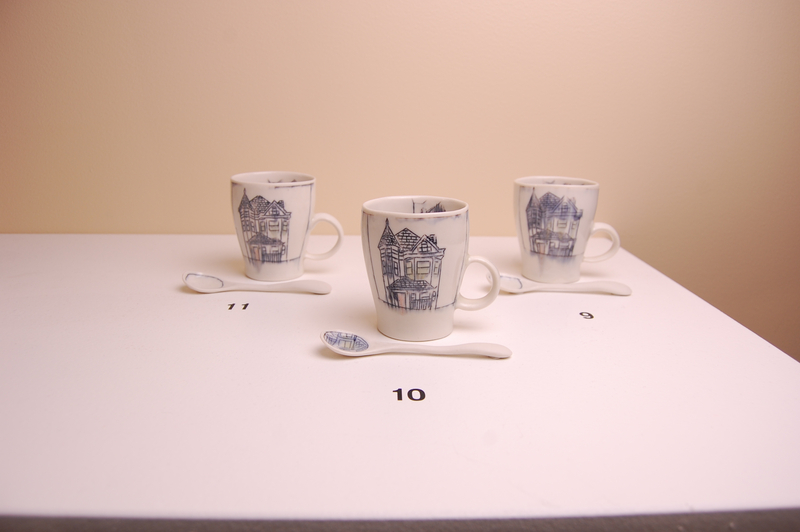 I retain a piece from each series I work on; each object serves as a reminder of the specific time past. This feeling of longing I experience has the capacity to be transferred through physical attributes that show the love and care the object embodies. ---- Don't miss OPEN STUDIOS this weekend! I would LOVE to see you. I just made a ton of cookies and started pulling out my seconds...I have so many, you don't want to miss this sale! Just got a note today from the nice folks at the Barnes Foundation in Philadelphia. They received my custom work and were so excited, they wanted to show me how it looked displayed all together. And now I'm so excited I wanted to share it with you! And here's a little close-up! So much has been going on in the studio, February just seems to be flying by! I'm in Baltimore at the moment, at the American Craft Council Wholesale/Retail Show! Check out my booth I just finished setting up a few hours ago: Also at the ACC show, I'm excited to have had my work chosen by one of the designers in the Make Room installation series. How cool is this!? 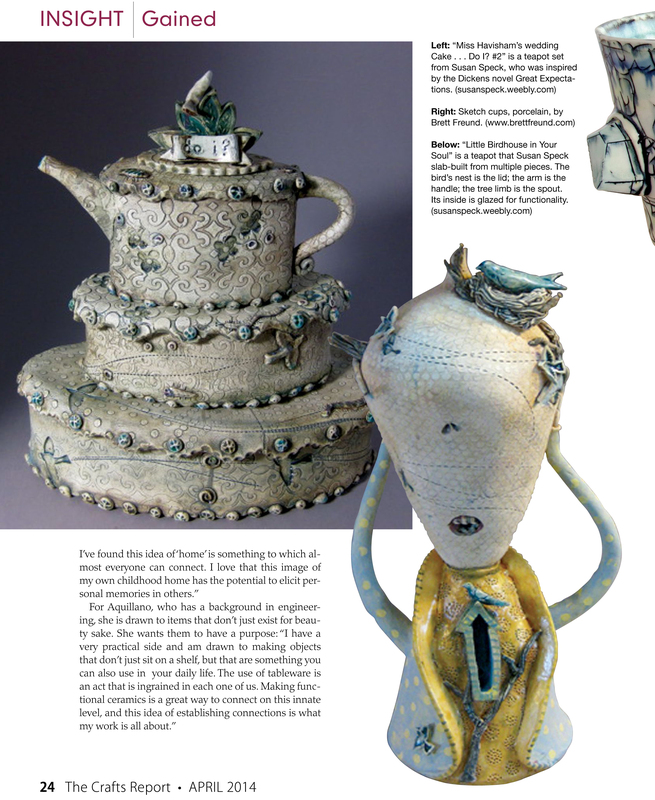 And finally, I'm sitting here in my hotel in an exhausted stupor, having just inhaled a dinner of Whole Foods sushi, and just so happened open the latest issue of The Crafts Report to find this: What a great day! Hope your February has been great too and to see you soon...Spring is on the way! I hope you all had a great new years and are enjoying what 2014 has on the table! I am gearing up for The Buyers Market of American Craft in Philadelphia in about a week and a half. 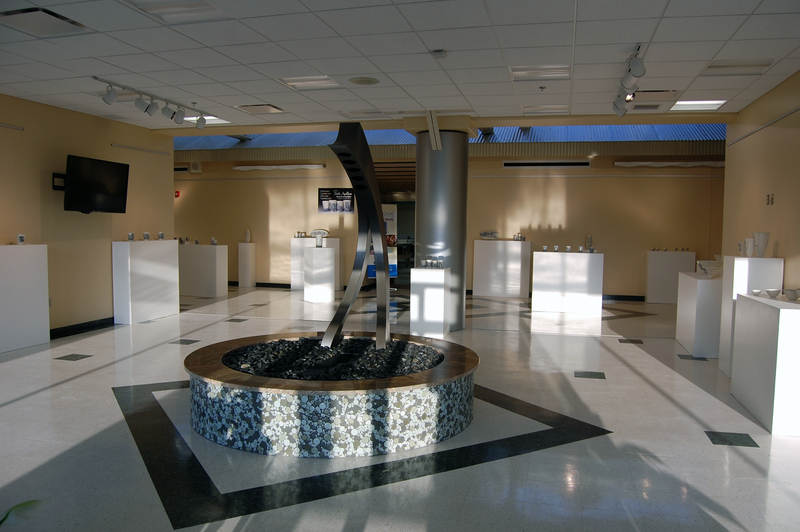 Then February 1st I am giving a workshop at The Clay School in Lynn, MA. Such a great place, come check it out! 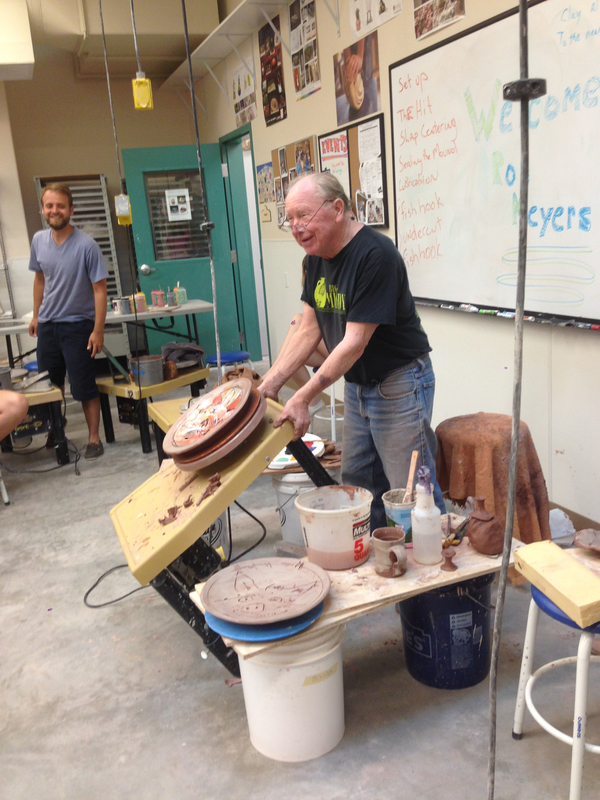 For more details visit The Clay School website! And then in February, I'm off to Baltimore for the American Craft Council Wholesale/Retail Show! Please let me know if you're planning to attend, I can hook you up! 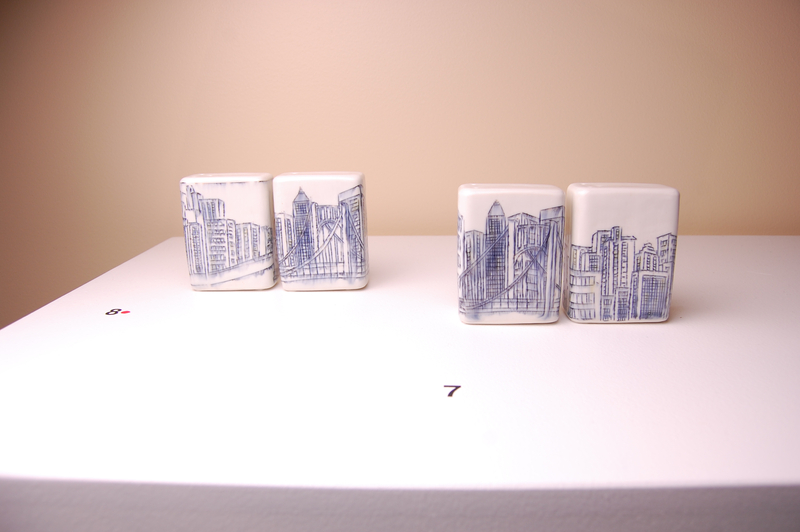 Also some great news: I was voted best in show at the Pittsburgh Society for Contemporary Craft Crafted Exhibition! 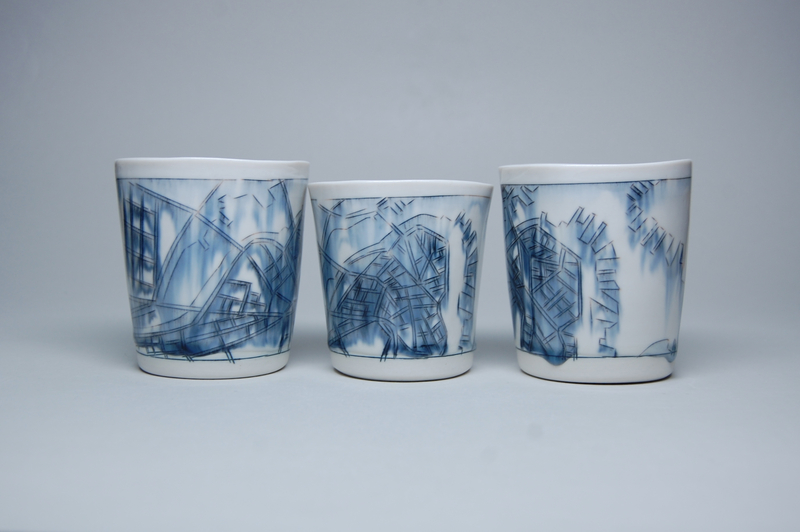 As well as The Workhouse International Ceramic Cup Show: Drink This! (see mug above!) Last but not least, the artists in the building where I live and work are buying the building, Midway Artist Studios, along with New Atlantic Development! Read the whole story on the MidwayFund website! Hope your year is off to a great start...and to see you soon! The event kicks-off tomorrow from 4pm-8pm, with plenty going on in the neighborhood, check it out here! It's a FREE annual celebration of the Fort Point area and its many businesses offering unique stores and boutiques, and a wide array of restaurants and bars. Make sure you Download the map, so you don't miss anything! Some of my favorites are free hot chocolate, beer, and a gingerbread house building competition! 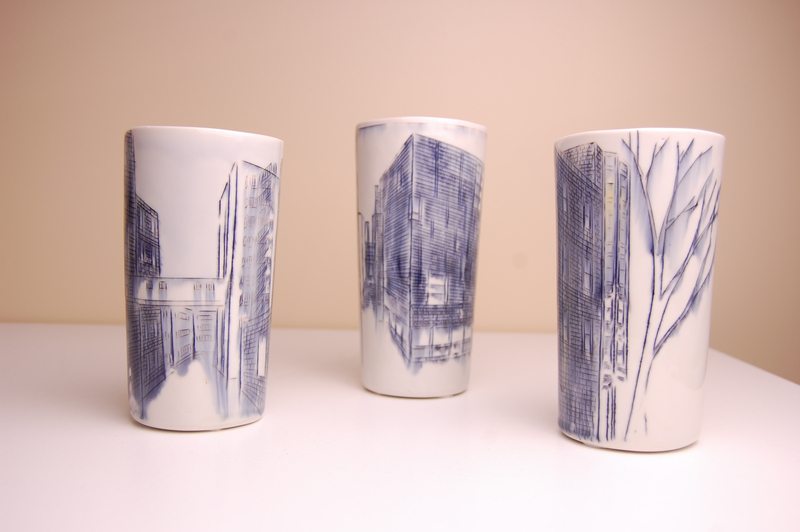 Both Craftboston and the RISD Alumni Sale have come and gone, and were a great success! It was great to see so much awesome art, artists, and art lovers all in one place in one weekend! I just want to take a minute to thank all of my supporters for their unending enthusiasm, and all my newfound supporters for their encouraging excitement! I especially want to thank my husband and mother-in-law for making it all possible to be two places at once...along with all my friends and family for their undying support! I wouldn't be where I am today without you. So thank you, so incredibly much! If you didn't have a chance to make it to the shows this weekend and still need to pick up a few one-of-a-kind holiday gifts, I'll be displaying my wares at the Fort Point Holiday Sale this coming weekend on the ground floor of Midway Studios in the Fort Point area of Boston (just a short walk from south station), along with a bunch of other Fort Point artists! There's a lot going on in the neighborhood for this event! It's sure to be a good time! If you're not in Boston, but instead in Baltimore this holiday season, check out the awesome new gallery spot the Schulman Project. Can't make it in person? 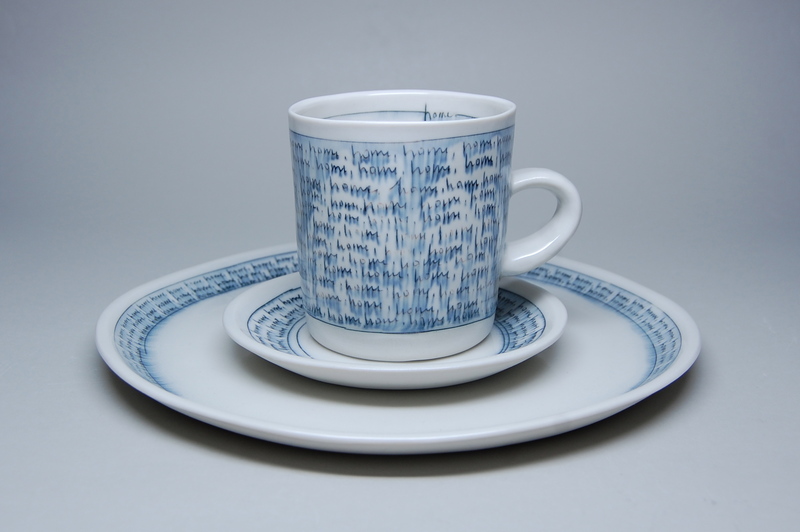 Check out their online store and its extensive display of handmade work! And don't forget the amazingness of etsy for all your handmade needs! If you haven't had a chance to check out the podcast by Brian R Jones, have a listen! If you have time, check out all of his podcasts, he has some really great content to help make your tuesday work day fly by! Plus some awesome work to oogle! 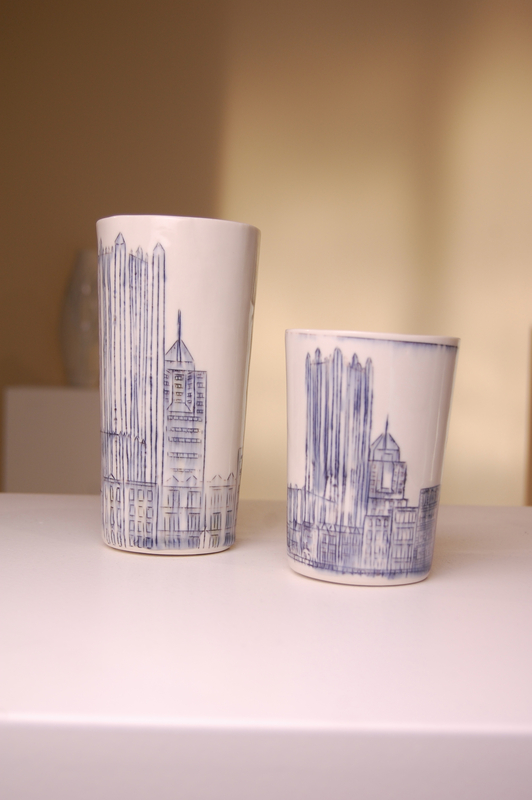 And one last thing, thank you for voting for your favorite cup at the Pittsburgh Society for Contemporary Craft Crafted exhibition! 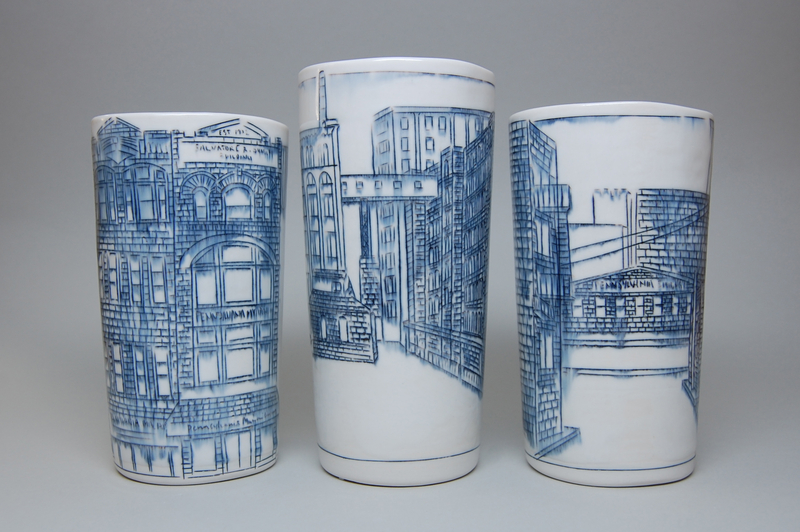 My Pittsburgh tumblers were voted best in show - thank you! Hope to see you soon! And again, THANK YOU for your unending support! After an awesome workshop, solo show, and opening in Pittsburgh (and some much needed family time! ), I've been hard at work in the studio making some new Boston work for the upcoming holiday season of sales: Hingham Shipyard Holiday Market: Saturday - Sunday: Nov 30th - Dec 1st CraftBoston Holiday: Friday - Sunday: Dec 6-8th RISD Alumni Holiday Sale: Saturday: December 7th Fort Point Arts Community Holiday Sale: Friday-Sunday: Dec 13-15th In other news, I'm excited to send off the mug and spoon featured above to Workhouse Ceramics International Ceramic Cup show: Drink This! 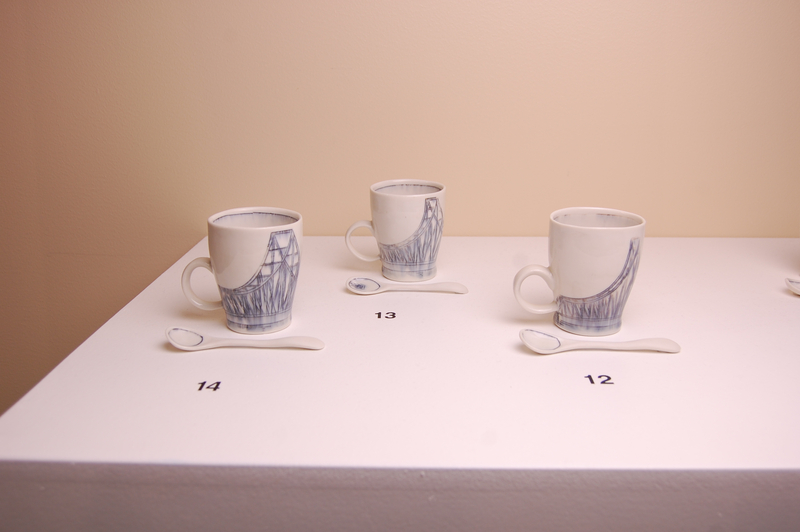 And I'm also excited to be one of the finalists selected for the LEAP award at Pittsburgh Society for Contemporary Craft! Hope to see you at a sale sometime soon! But if you're not in the area, check out my "shop" page to find a local store near you, or visit my etsy shop! 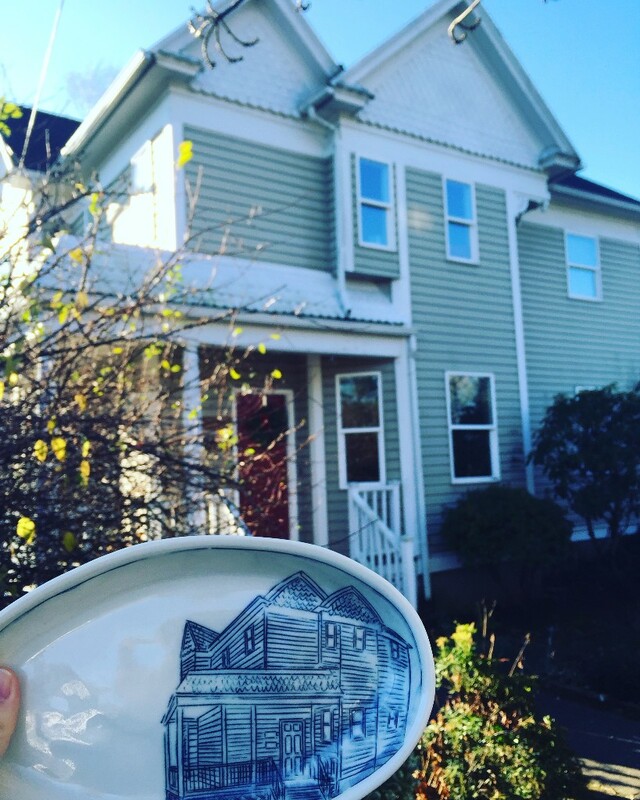 Or if you're looking for something for someone that has it all, why not put their house on a one-of-a-kind mug, plate, or bowl!? Place a custom order soon to get it in time for the holidays on my made-to-order shop! Happy handmade holiday shopping! 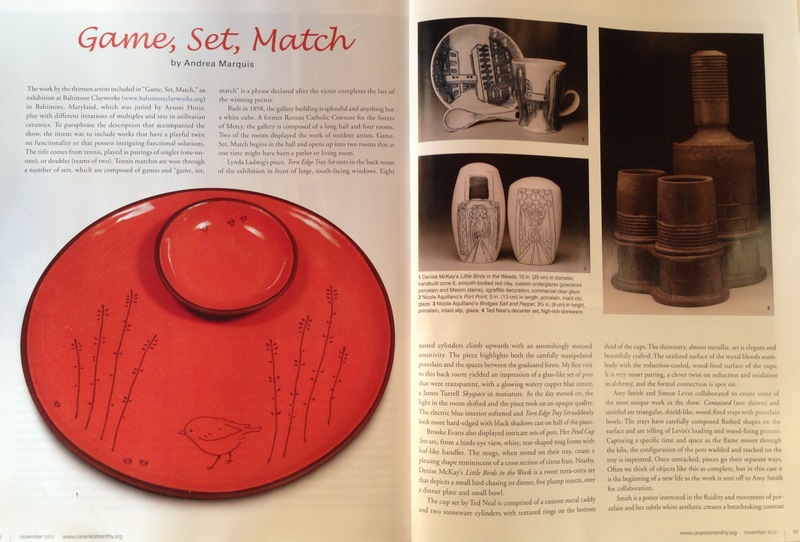 Excited to see my work from Game, Set, Match, an exhibition at Baltimore Clayworks, in the November issue of Ceramics Monthly! A great article, be sure to check the full text out! I've extracted the two great paragraphs describing my work in the show: In a week I'm off to Brockway Center for Arts for a Workshop and Solo Show! 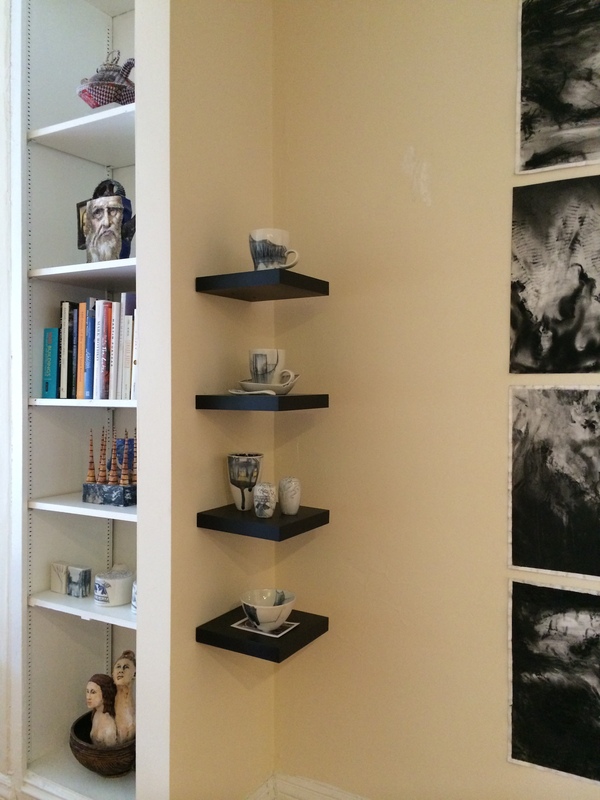 The work has been collecting on my studio shelves and I can't wait to take it to Brockway, PA to install! If you missed Fort Point Open Studios this weekend, make sure to add these upcoming sales to your calendar: Hyannis Holiday Market (Nov 30th-Dec 1st), CraftBoston Holiday (Dec 6th-8th), RISD Alumni Holiday Sale (Dec 7th), and Fort Point Holiday Sale (Dec 13th-15th)! And as always, feel free to call me to make an appointment if you'd like to come by the studio! 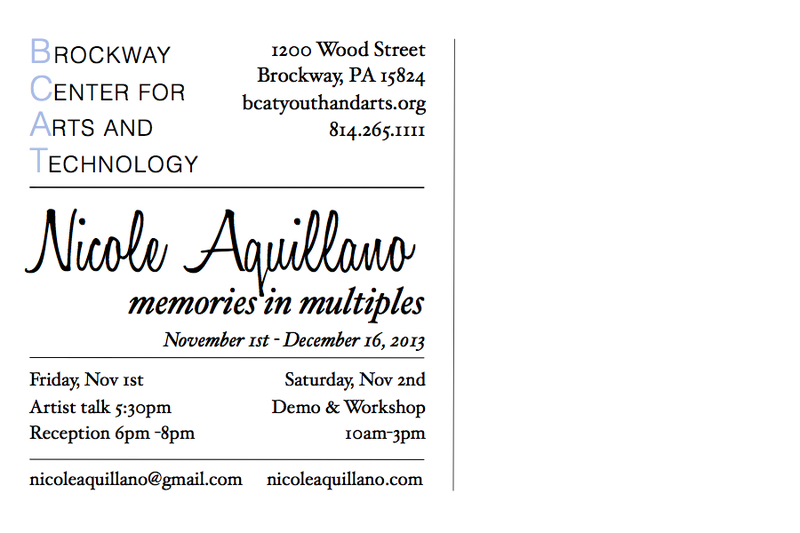 I had the pleasure of meeting with Nicole Aquillano inside her studio in Boston, MA. We all admire her pieces at Crimson Laurel Gallery on a daily basis and it was such a privilege to chat with her in person & be walked through her process. 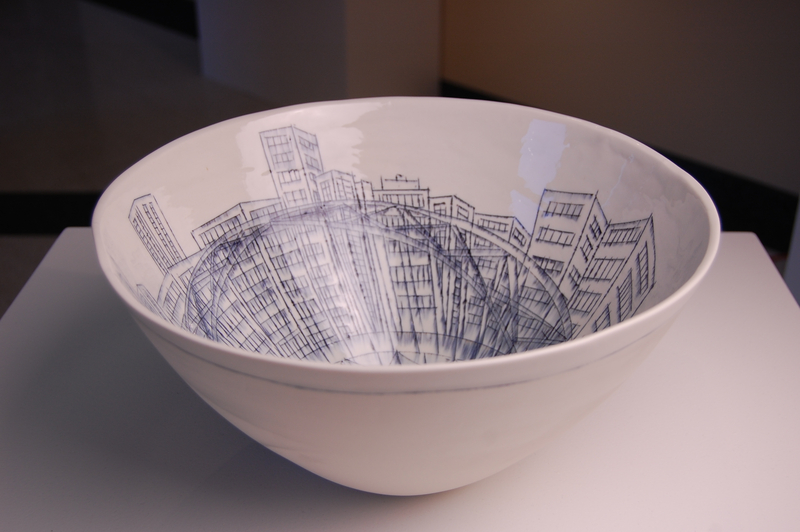 For those familiar with Nicole's work, you know the beautiful architectural drawings inlayed on the surfaces of her porcelain forms. But before she even gets to draw on her work, she goes through many steps to achieve her ideal form. After sketching and designing her shapes, she turns plaster positives on the wheel & carves her form in the plaster with giant trim tools. She only has a 5-10 minute window before the plaster sets and can no longer manipulate it effectively. 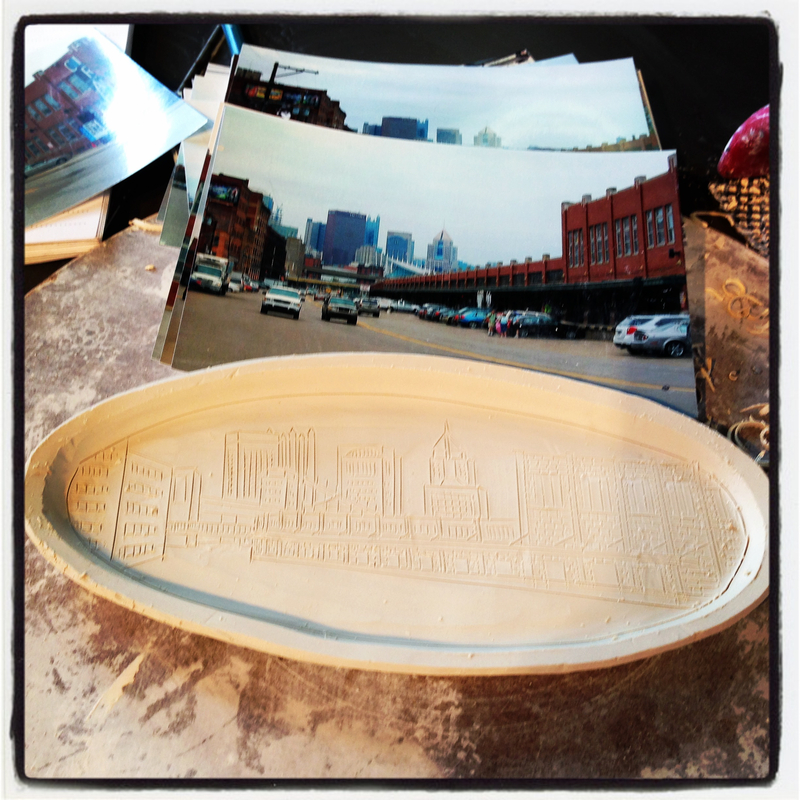 Once she has created her design in plaster, she creates molds that can be reused to create multiple forms. From there she pours slip in to her newly created molds derived from her plaster positive. Everything then gets wrapped up so it stays wet enough for the ready drawing phase. Click here for more specific step by step photos of her process. How do you come up with the forms you want to create? "I am always really proud of my forms because I'm not taking an already existing form & making a mold from someone else's design. Instead, I actually think about what I want the form to be like. 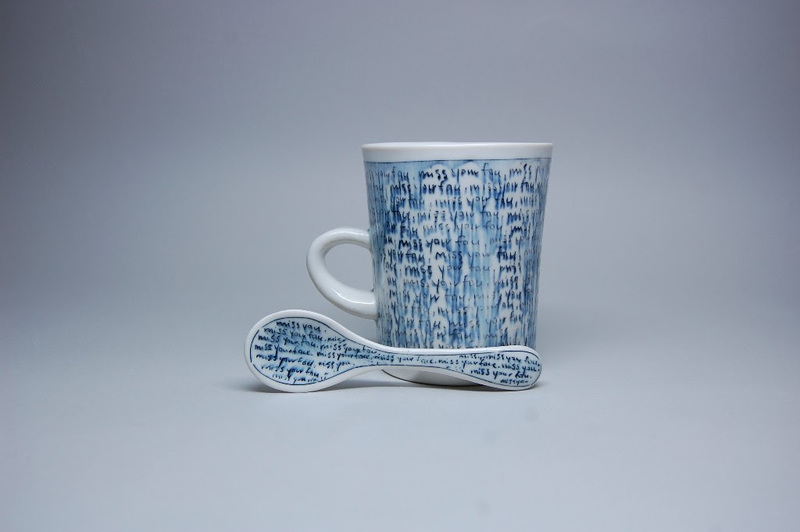 I'll go through my collection and pick out my favorite cup and think 'what is it that I love about this cup? Is it the height, the diameter, the shape or the way the handle fits?' From there I start sketching shapes that incorporate what I think makes a successful form. So before I make anything, I'm putting a lot of thought into the form and do quite a bit of sketching." Click here to read Nicole's Artist statement. Tell me about the drawings on your forms? "It will take me about a week to draw on everything and I use a dolan knife ( similar to an X-acto blade) to scratch in the image. I do the whole drawing by hand, sometimes using photographs for reference, unless it's something like my childhood home which I've now memorized how to draw. 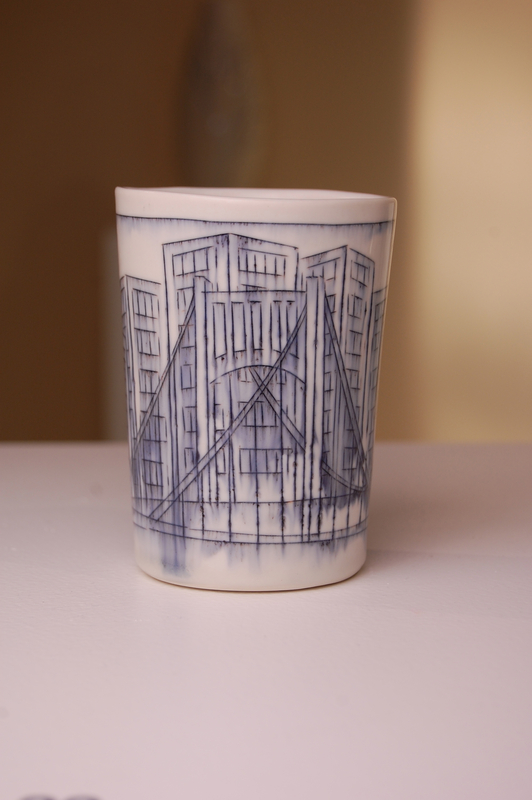 I then inlay underglaze, let it dry & wipe it away so it stays down embedded in the clay. 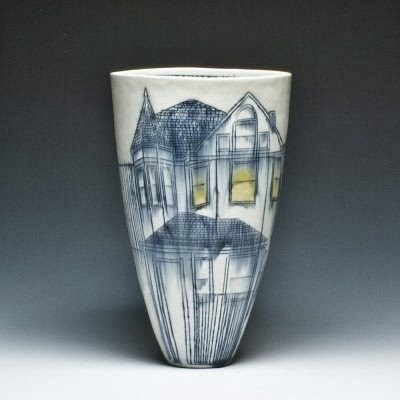 I'll fire it once, bring it out, and then apply the glaze over top which draws the underglaze out from the inlayed drawing, giving it that runny effect with kind of like a bluish tint..."
I love your runny effect. "Thank you, it took me a long time to figure it out." Did you know this was the effect you were looking for or did you stumble upon it? "Well, it was kind of an accident actually. I was going through grad school, and I was trying to explain the feeling that I wanted to convey, this longing for home...and I felt like everything I tried was a little bit short of that. I had a cone 6 glaze which I had on some work and I didn't like the way it turned out, so I threw it in the kiln and fired it to cone 10. When it came out, I realized it was exactly what I have been wanting to say." Do you ever miss throwing each piece on the wheel? "I still throw every once in a while. If a show wants me to make a certain thing, I'll throw it...but I cast pretty much everything now. I used to throw everything and I loved it, but it was really physically straining. My wrists hurt all the time and my back was frequently hurting. I thought to myself...I'm only 30 some years old, how am I gonna make it? Also, casting is better for the consistency thing too...it's nice to be able to create the same form over and over, especially when you start to get into wholesaling and people want 20 of the same form." "Yes, I actually moved here (MA) for my job as an engineer. Then, you know how things happen in your life where you realize life is too short? I thought, I need to do what I really want to do. So I ran a marathon, which was always on my list and I was thought, 'you know what...I need to love what I do for work and I've always really loved making stuff out of clay.' It maybe seemed ridiculous and my parents were like, 'what is wrong with you?' but I went for it. I just took continuing education classes over and over again at MASS Art and MFA & built up my portfolio. It took me 6 years but I finally had enough to apply to grad school, I got into RISD, graduated a year ago, and finally quit my part time EPA job about 4 months ago." I am so inspired!! It's wonderful you are doing what you love. That being said, do you ever have days where you have to drag yourself to the studio? But honestly, it's never feels like work. I love everything about it. Sometimes I just get physically tired... like a day of doing mold stuff can wear me out. I mixed clay yesterday and this morning I woke up and was like,..'uhhh...I hate mixing clay!' but only because it can be physically draining There is also a lot of business behind it, which you never really know until you have to do it. Well, we love what you are creating and wish you luck in your career. Keep up the great work! Check out Nicole's website here. Click here for another interview with Nicole. Check out her work for sale on our website. Working on some new work for an upcoming show and workshop in Brockway, PA at Brockway Center for Arts and Technology, opening November 1st! Followed the next weekend by a few pieces in a show opening November 8th (6-8pm) at Pittsburgh Society for Contemporary Craft! Excited for both...and for a week at home in between! 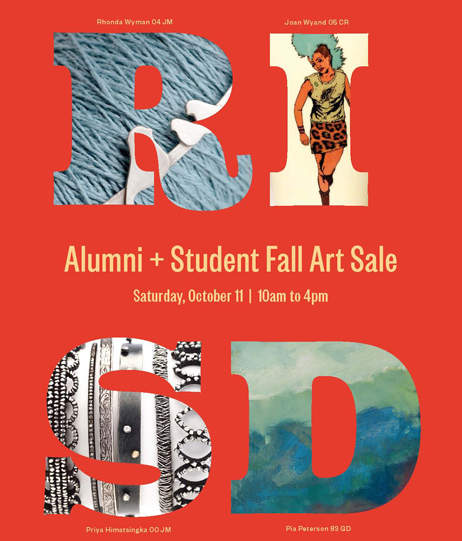 Don't miss the RISD Alumni Sale next weekend: Saturday, October 12th, 10am-4pm on Benefit Street in Providence! 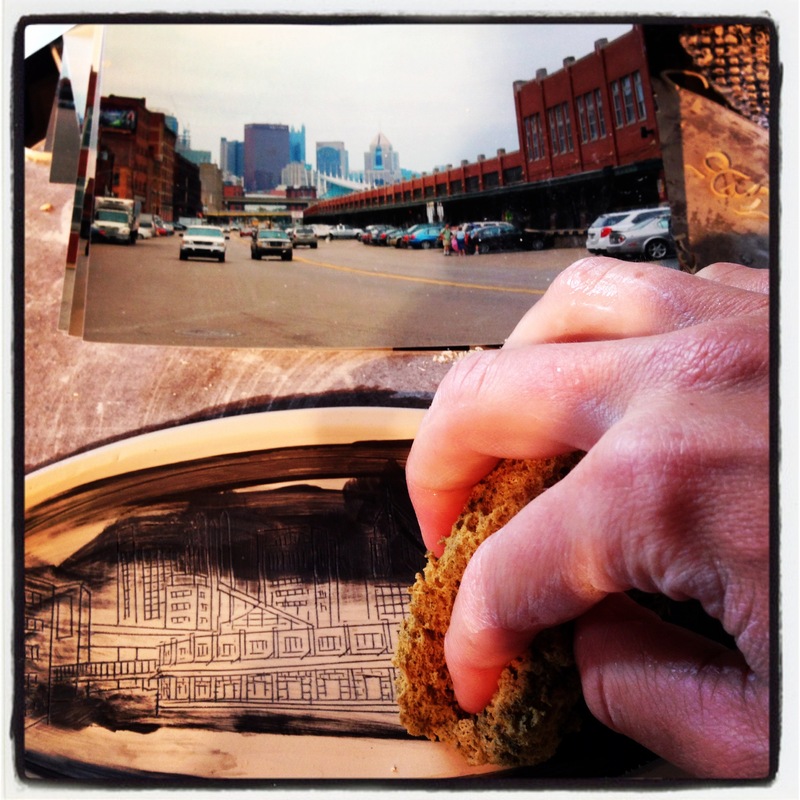 And coming up soon: Fort Point Open Studios! 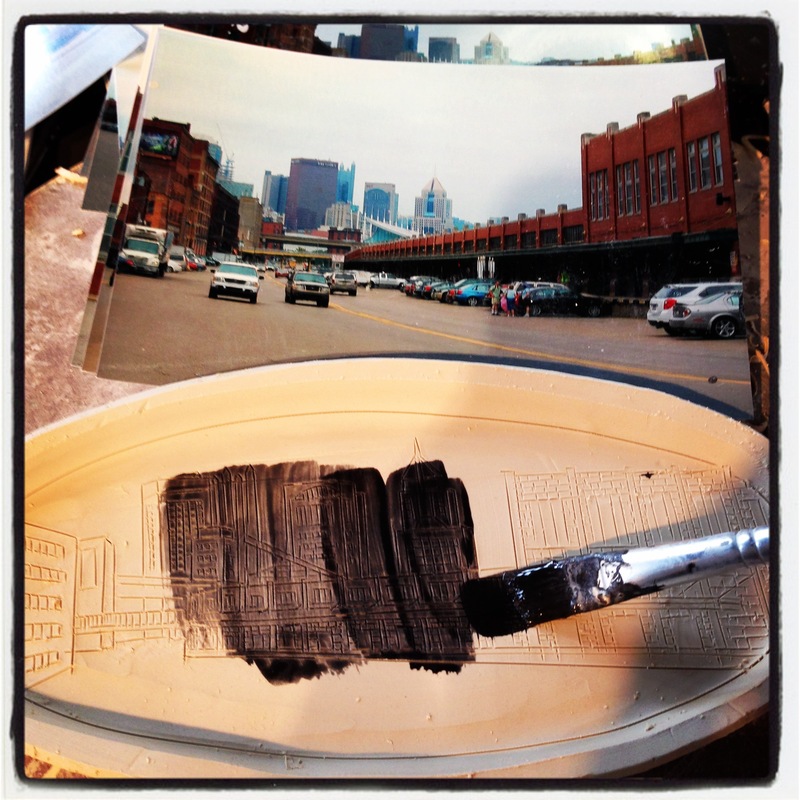 Come see artist demos, gorgeous studio spaces, and new work! Friday, Saturday, & Sunday Oct 18-20th! If you can't make these sales, don't miss the chance to start your holiday shopping early - enjoy FREE SHIPPING on any purchase from my ETSY SHOP for a limited time! 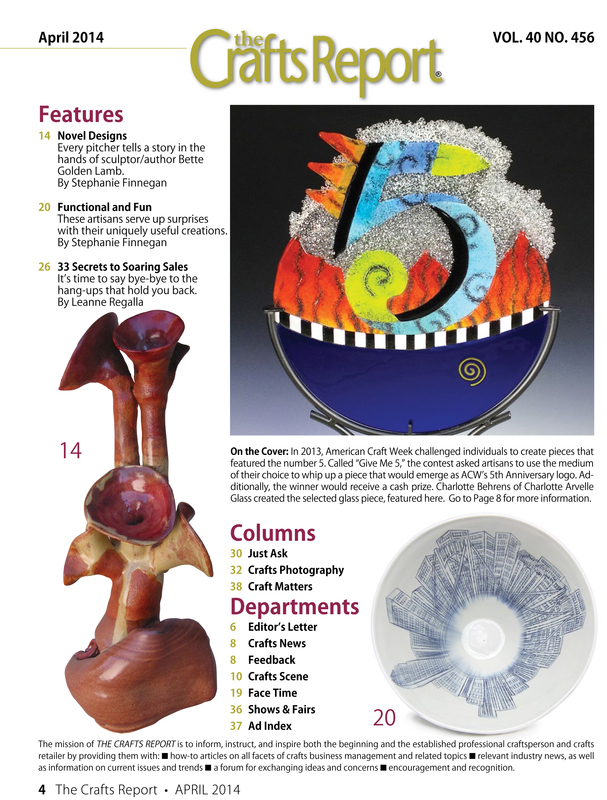 Check out the article in the Harvard Crimson following my artist talk at Harvard Ceramics here...or read on below! 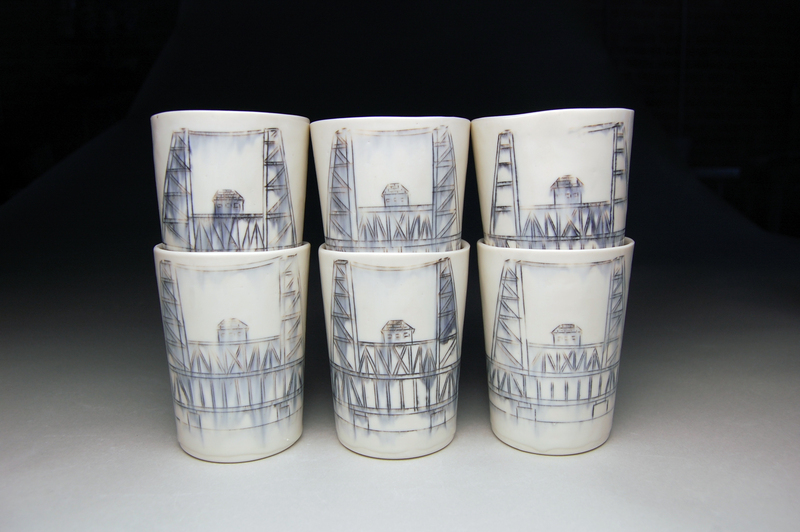 Nicole Aquillano, a ceramic artist and former engineer from Fort Point, Mass., creates pieces of pottery inspired by the architecture around her. 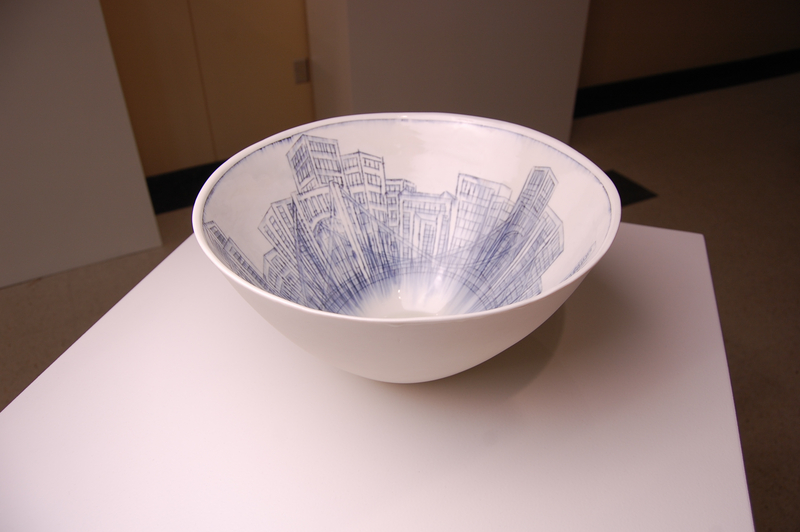 Using photographs of her favorite buildings, she copies the designs onto her work and fills them in with blue and clear glaze, creating a dripping effect that she feels gives the works a sense of nostalgia. 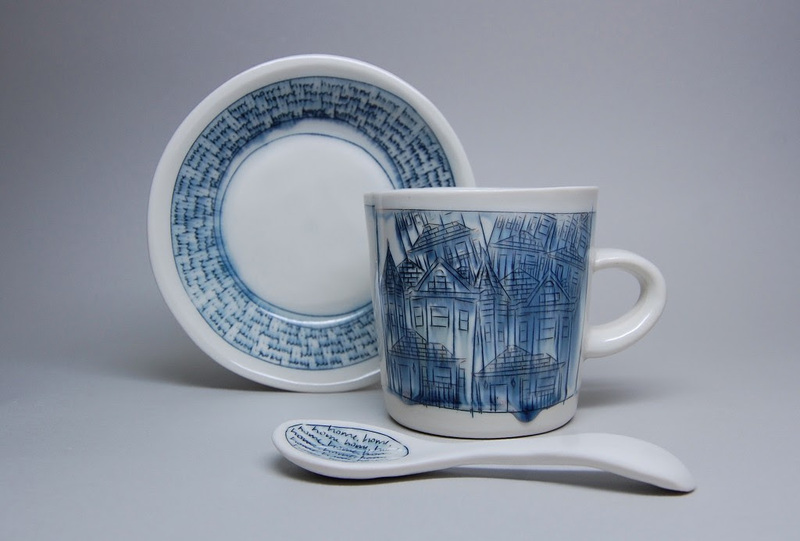 After giving a talk at the Harvard Ceramics Studio on Thursday, Aquillano spoke about her work, her upcoming projects, and her recent transition from environmental engineer to full-time entrepreneurial ceramicist. 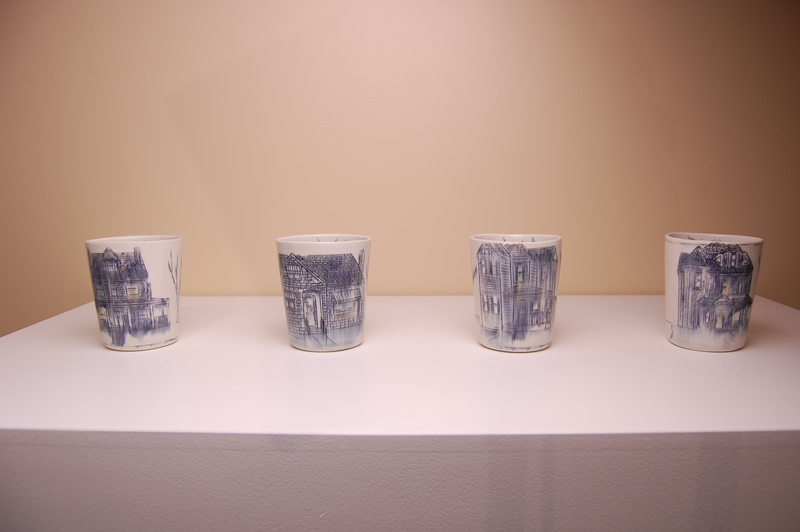 The Harvard Crimson: What first got you interested in ceramics? Nicole Aquillano: In college, I was going to school for my degree in mathematics and civil engineering, and I had to take a liberal arts credit. So I took a clay class, and of course, I loved it and I spent all my free time in the studio. Then after that class my professor approached me and asked me if I was thinking about maybe taking the second-level clay class and encouraged me to do that, so I ended up taking a clay class every semester and getting a minor in art because I kind of knew that was what I really wanted to do. 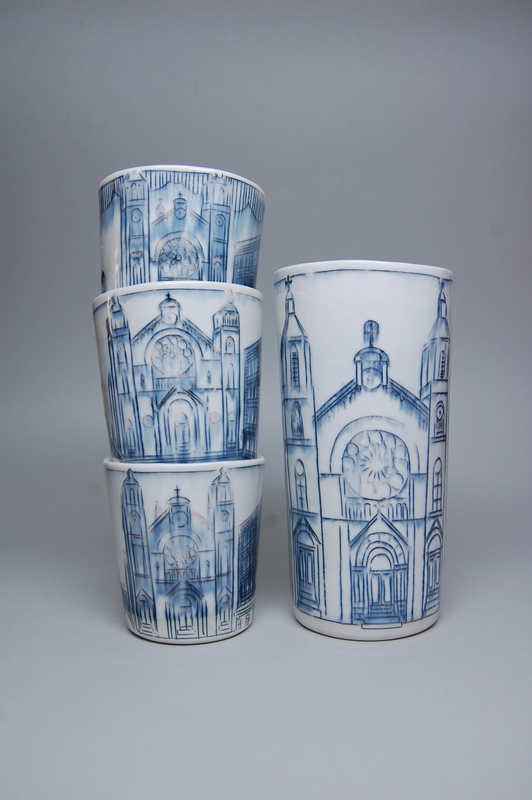 THC: What gave you the idea to combine architecture with ceramics? NA: I had always used architecture as my inspiration for my work, but going into grad school I was translating that into abstract patterns with lines and dots [and] a lot of repetitiveness, because you see that a lot in architecture. And then halfway through grad school I had a critique where someone told me to be more specific in what I was referencing, to try that out, and so I did. THC: How do you achieve the dripping effect you utilize on many of your ceramics? NA: It was kind of an experiment. 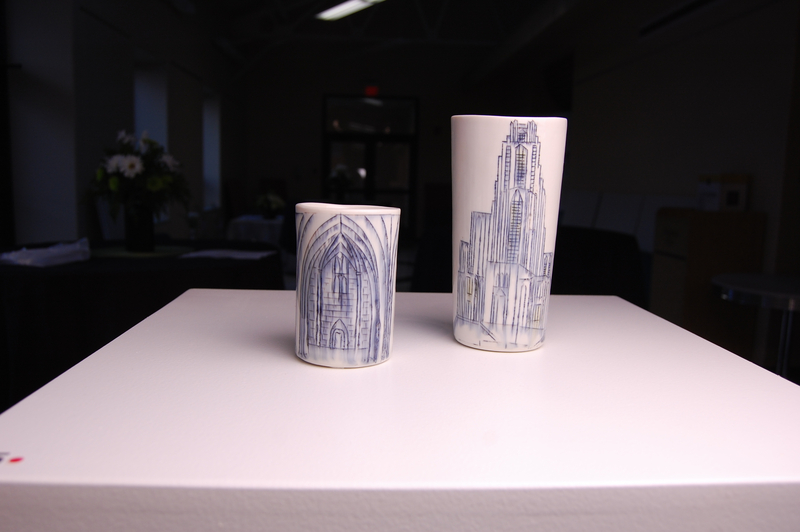 I had some work [and] I didn’t really like how they’d turned out, so I threw them in a high fire glaze kiln. 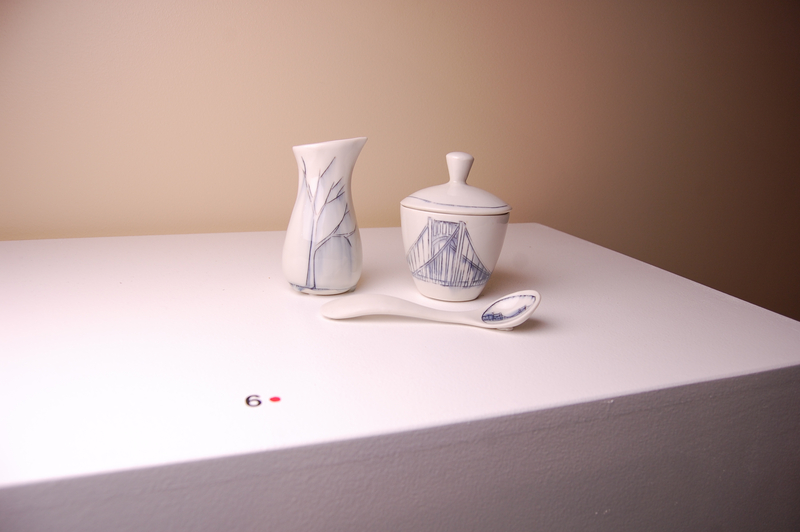 It was a mid-range glaze, [and] putting a mid range glaze in a high-fire kiln makes it run. But I really like how the clear [glaze] that I used pulled the color out from the drawing a little bit, and...kind of makes it look more like a memory or gives it a feeling of heaviness, or just seriousness. THC: How do you decide what buildings or structures to draw? NA: I like to use imagery that is important to me—that way it makes sense to me that I’m drawing it. Although I do a lot of custom work [too], which is really fun [because I] get to hear someone else’s story. But I tend to gravitate toward imagery from my surroundings. I live in Fort Point, so I use a lot of Fort Point imagery and places that have had a big impact on me. I use a lot of North End scenes…because really the North End was the whole reason I moved to Boston. I just fell in love with it—it was exactly like Italy. Like, how could I not move? I also draw my childhood home over and over again. THC: Can you tell us anything about any future projects that youhave planned? NA: I am doing a workshop in Brockway, Pa.…at the Brockway Center for Arts, and a show there too, in conjunction with the workshop…. [We also have] a really fun event in Fort Point on the 18th, 19th, and 20th of October. All the artists in Fort Point…open their doors to their studios and let the public come in and see what they’re working on and what they’ve made in the past couple months. 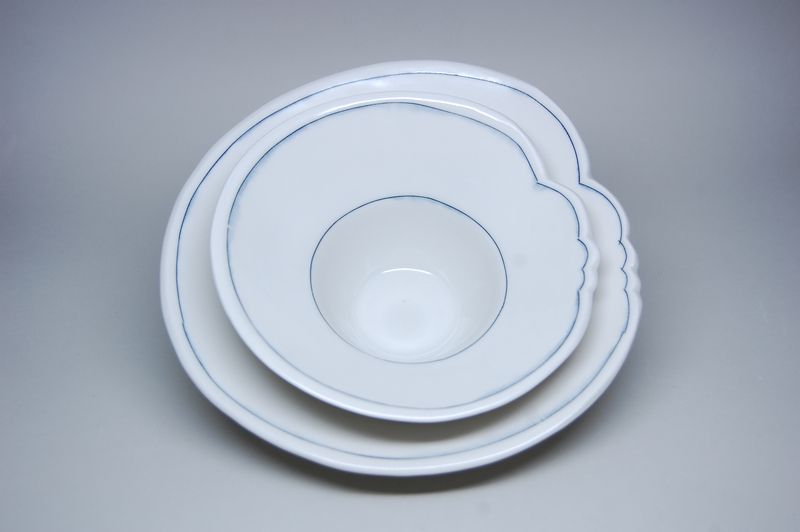 Loving that I had an awesome customer come by the studio yesterday and pick out a new bowl, only to instantly add it to her blue and white collection and send me an image. 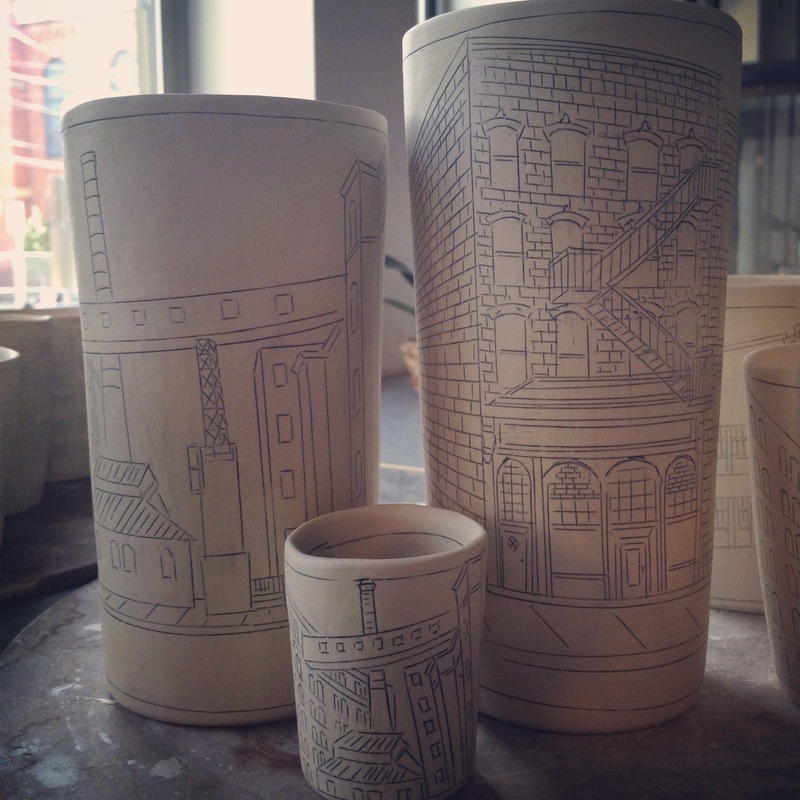 Love, love, love, when I see my ideas for my pots play out in real life. Oh collecting! Just checked my mailbox and this postcard from Claymakers for their Steinfest made me smile! 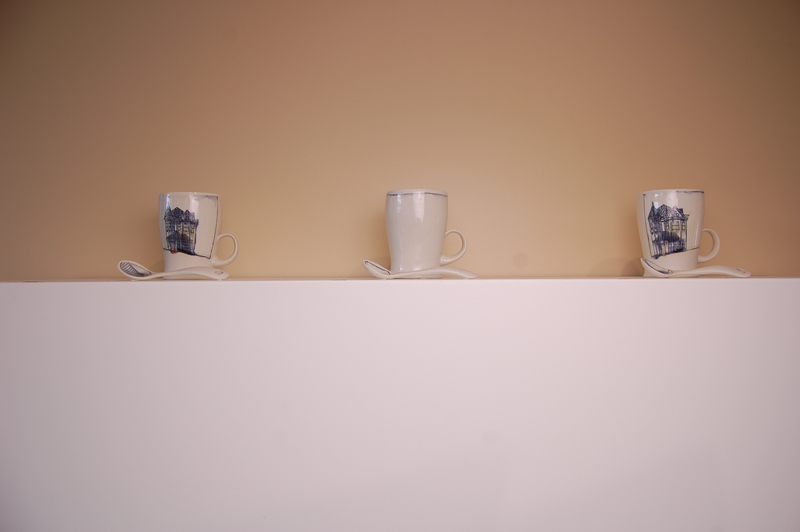 My favorite stein is the middle one - I liked it so much I almost kept it! 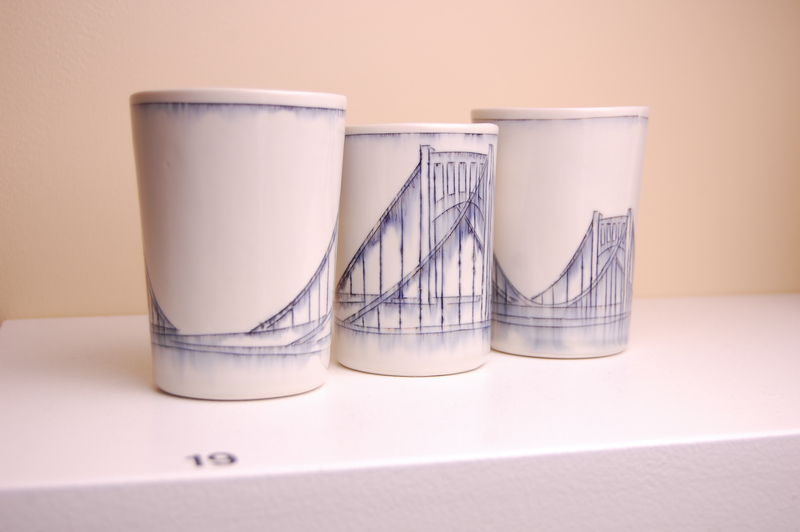 In a brick-walled, quaint studio full of ceramics decorated with architectural drawings, artist Nicole Aquillano gently wiped newly glazed mugs as her 8-year-old cat, Luna, licked her paws at her side. 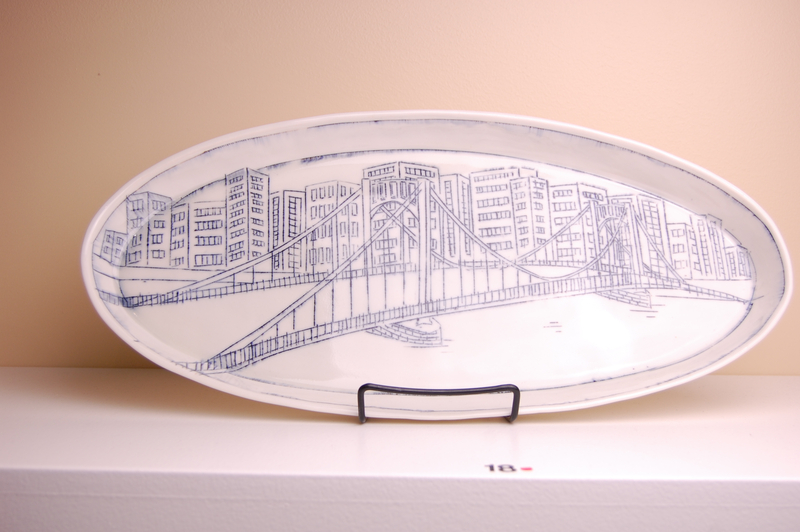 The glazed ceramics, inspired by her childhood home in Pittsburgh, are ready to be showcased and sold at Made in Fort Point, a store located a ten minute walk away from Broadway Station. Aquillano, who moved to Fort Point. 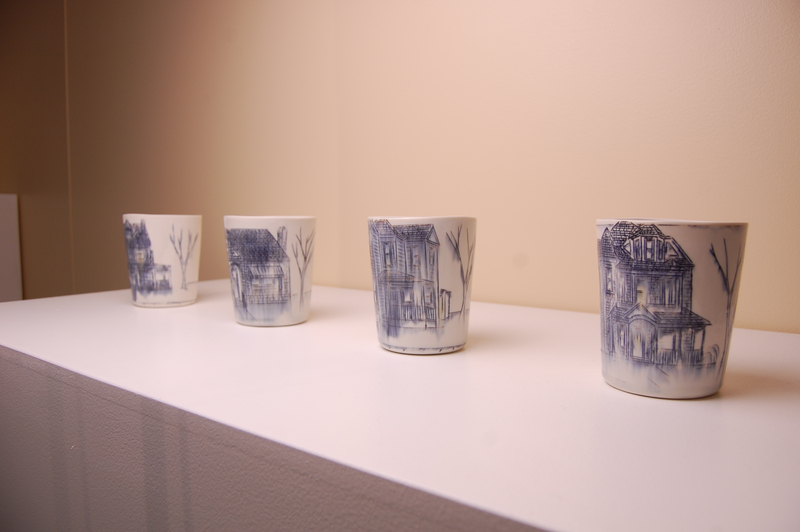 a year and a half ago, is one of many artists who came to the area to pursue artistic careers. Many of these local artists are part of the Fort Point Art Community (FPAC), a nonprofit organization and one of the oldest art communities on the East Coast, and contribute to Made in Fort Point. 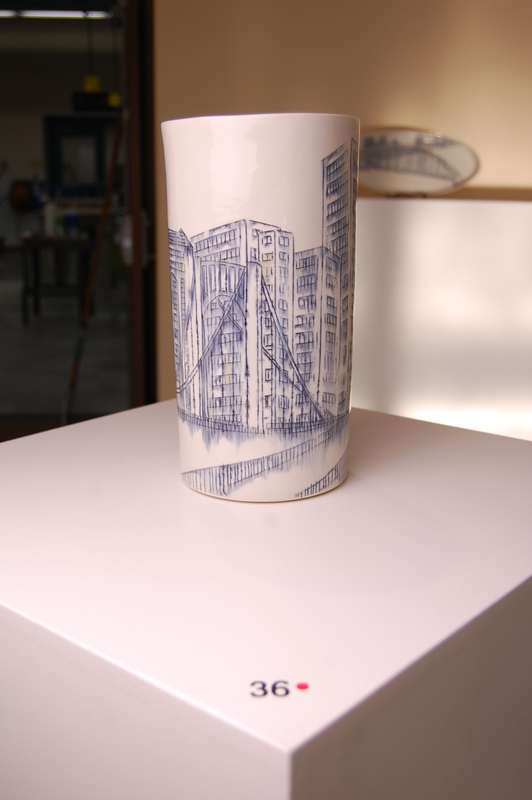 Made in Fort Point was created by FPAC members in 2008. For a long time, FPAC President Jennifer Mecca said that the members wanted to have a pop-up shop that would give artists more opportunities to show their works to the public. Recently, the store was moved to 30 Channel Center St. and is run daily by volunteers and the contributing artists. 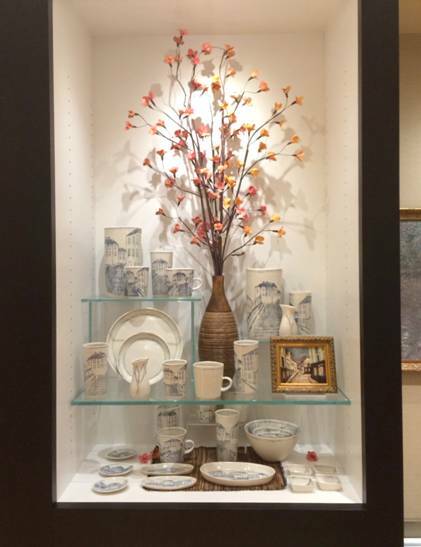 A wide range of art is exhibited in the store, including ceramics, textile designs, jewelry, prints, postcards, steel sculptures and childrens’ clothes. 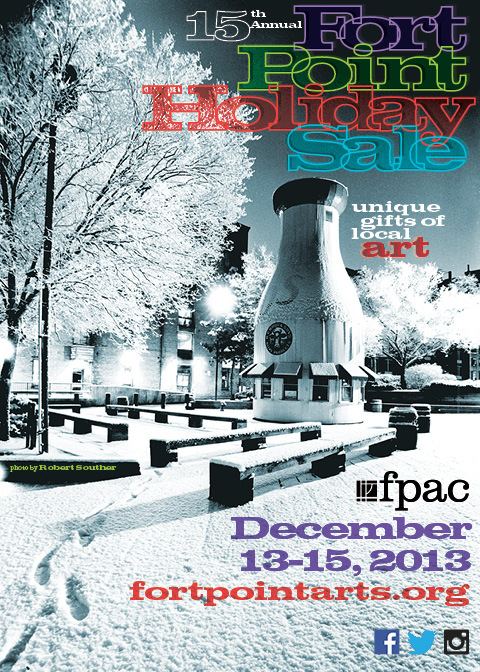 FPAC members also meet periodically in the store to discuss plans for events and public art programs. A major upcoming event is the Open Studio from Oct. 18 to 20, in which the public is welcomed to visit the artists’ studios near Made in Fort Point, see their work and talk to the artists. Mecca referred to Made in Fort Point as Fort Point’s community center. 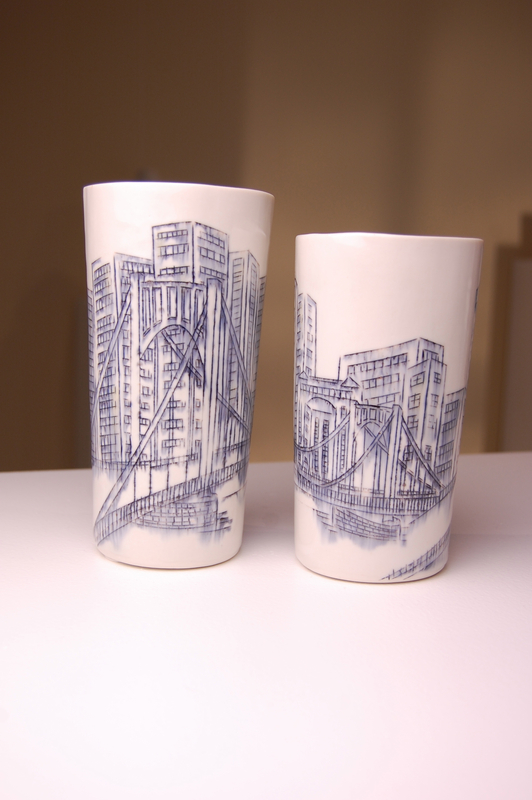 For Aquillano, Made in Fort Point gave her a “community feeling,” in which she can feel comfortable and close to her neighbors within a big city. She decided to end her seven-year career as an engineer to become an artist, and she said she is glad she made the switch in Fort Point – where many other passionate artists, like Linda Huey, reside. Mecca, a Pittsburgh native, and Huey are not alone. Mecca said a wave of artists settled in Fort Point, creating the FPAC in 1980. 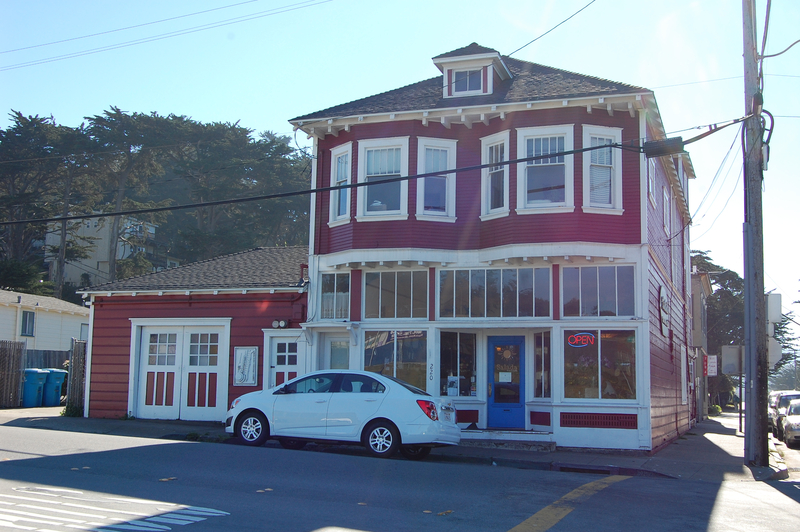 These creators “pulled their cash” and bought a few buildings to offer artists cooperative housing and work-spaces, namely 249 A St., 300 Summer St. and Midway Studios, developed in the 1980s, 1990s and 2005, respectively. However, much of the area in Fort Point that used to be occupied by artists hasve been replaced by high-end businesses and non-artists, according to Alys Myers, a sculptor who joined FPAC in 1994. To protect the art communities in Boston, artists including Huey and Myers have joined the Create the Vote Coalition, a group of Boston’s arts and culture organizations led by MASSCreative, and petitioned Boston mayoral candidates to financially support art communities. “We’re kind of hoping with the new mayor that’s coming in that they might look out for us and help us try to keep our community there because as of now, the community keeps on shrinking because no one’s helping us secure housing,” Myers said. In addition to more affordable housing and work-spaces, Mecca said that the FPAC members are discussing creating an art center in Fort Point. Huey, who is often inspired by nature and environmental issues, said that the diverse FPAC she was exposed to in 1979 helped her grow as an artist. Super excited to be participating in JP Open Studios by presenting a trunk show of my work at Fire Opal (683 Centre Street, Jamaica Plain) on September 21st & 22nd! Check out the sweet blog post on Fire Opal's site or just keep reading! Jamaica Plain Open Studios is coming up fast (September 21, 2013). 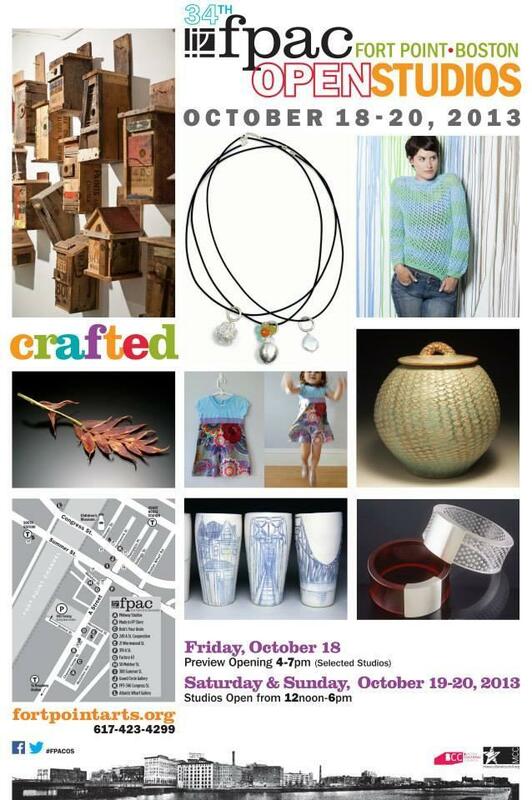 We’re excited to have a special guest artist presenting a fantastic trunk show in the JP gallery to celebrate. 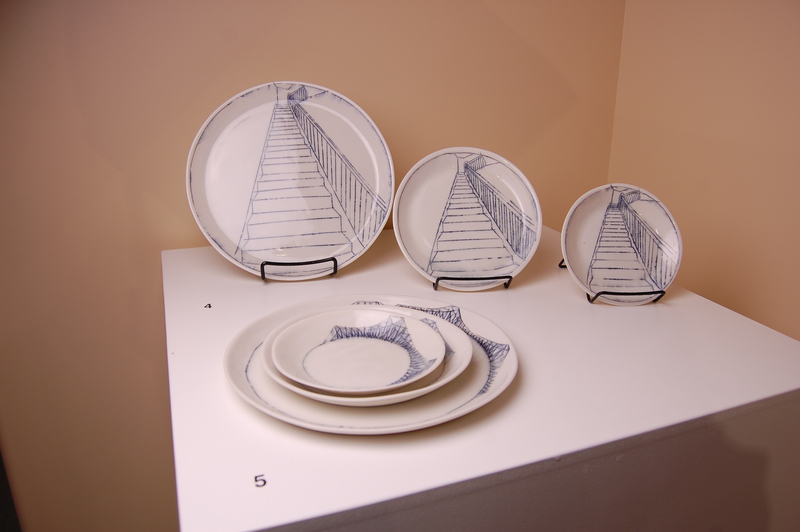 The stunning architectural graphics on Fort Point based artist Nicole Aquillano’s pieces are evocative, inspired,and beautifully simple. We were so happy to be able to talk with Nicole about her work and inspirations and we can’t wait to show her work in the gallery on September 21. 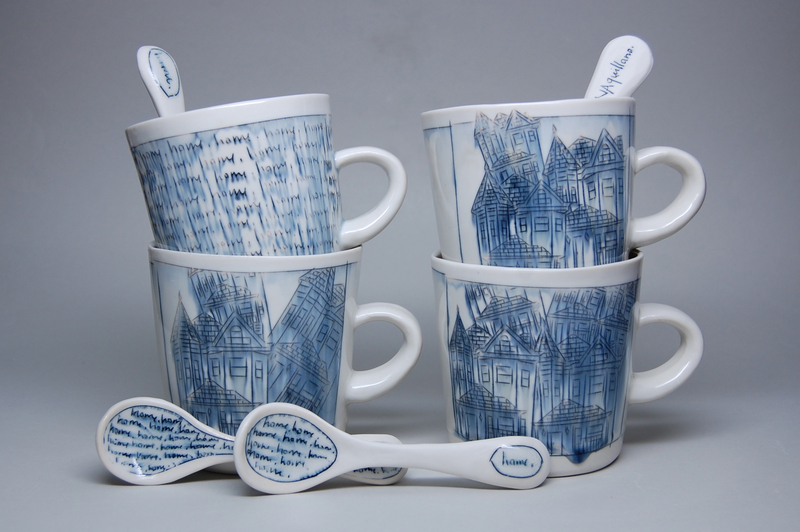 How did you discover your love of ceramics? I discovered my love for clay in high school, in Crafts class. We had a few hand-building projects which I really enjoyed, after which my teacher set me up on the potter’s wheel, and I never looked back. I bought my own wheel and would spend hours throwing in my bedroom at home, with lots of plastic on the carpet! 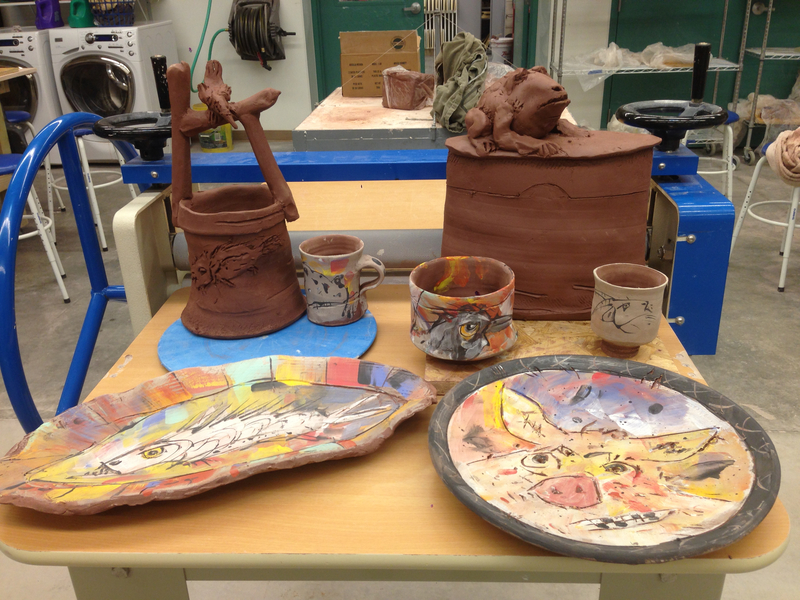 Then in college I took an intro level clay class and spent all my free time in the studio, I just loved it. At the end of the semester my professor suggested I take the intermediate class…and that went on throughout my whole undergraduate in math and engineering, so I ended up earning a minor in art during undergrad. It’s clear that your background in civil engineering informs your design – what is it that draws you to architecture and city scapes? Something about the repetition and structure of buildings and bridges really draws me in. I find stability and comfort in repepetion, since in my engineering mind, it is the path to clarity. 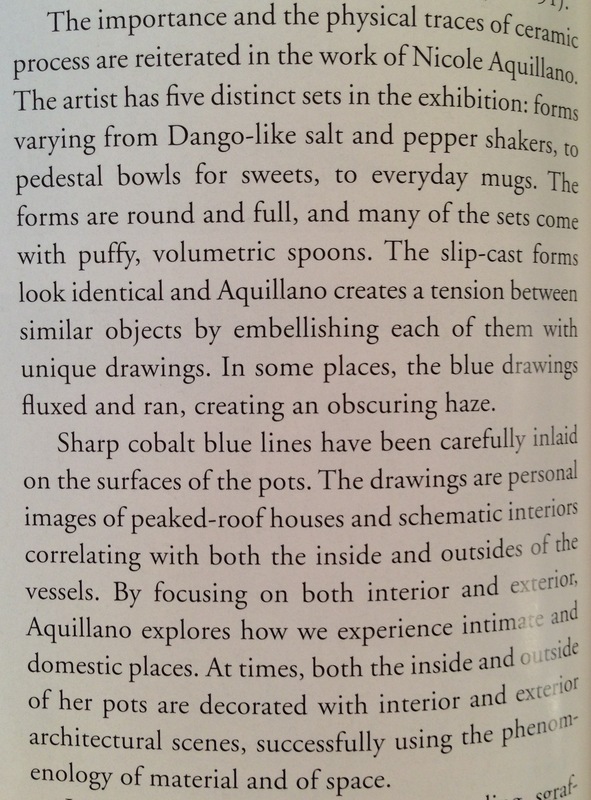 I am also drawn to the use of place since it has an inevitable ability to define and connect people. Through the use of specific places from my own memories and experiences, I hope to trigger personal memories in others, as a way to bridge a meaningful relationship. 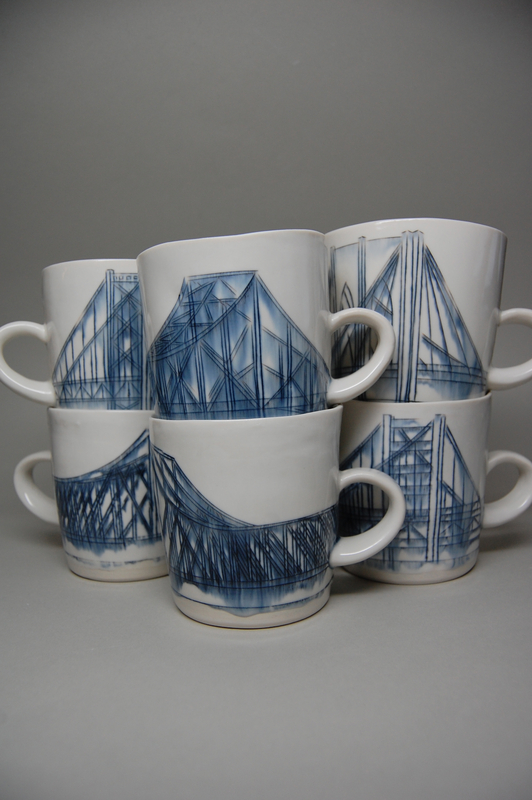 I recognize the Tobin Bridge as part of your current collection, what are some of the other inspirations that are part of your work right now? The bridge I use in my work reminds people quite frequently of the Tobin, which I love: that specific places drawn from my memories have the ability to trigger personal memories in others, but it is actually based on an old train bridge near the house I grew up in (the house I repeatedly draw in my work). Growing up, I could hear the train cross the bridge and blow its whistle from my bedroom window (the same window which has the light on in my drawings). For me, the sound of train whistles still triggers memories of my childhood home. If you could translate one Boston landmark into your work what would it be and why? I draw an image of the North End quite frequently, since it was the deciding factor in me moving to Boston about 7 years ago. Upon visiting the North End for a job interview, I was reminded so much of Italy, where I had studied for a semester, that I decided I just had to move here! The old staircase leading up to the Summer Street Bridge and the building connector that passes over Melcher Street, in Fort Point, are frequent occurrences in my work. I like to think of all the people who have experienced these unique architecture details over the years. 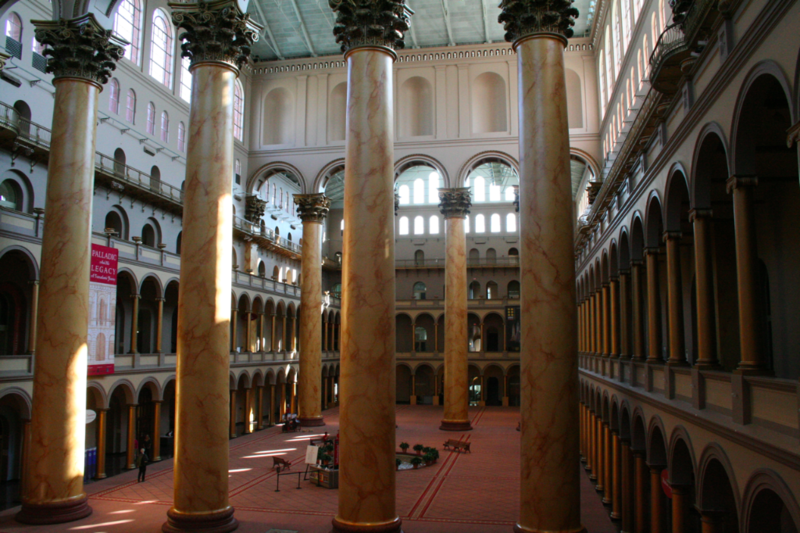 There are so many memories sealed up in these historical structures that surround us everyday. You have an awesome process page on your site, but what is your day to day life like in the studio now that you create full time? Surprisingly I only spend about 60% of my time making my work. I spend the rest of my time doing paperwork, applying to shows and sales, actually participating in sales, corresponding with customers, packing work, shipping work, fixing things that break, picking up supplies…the list goes on and on. When you run your own business you are everything: maker, marketing, sales, shipping, maintenance person, etc. But I do always manage to make time for a run everyday, I think taking a break is an important part of staying healthy and sane when your life is devoted to studio work! 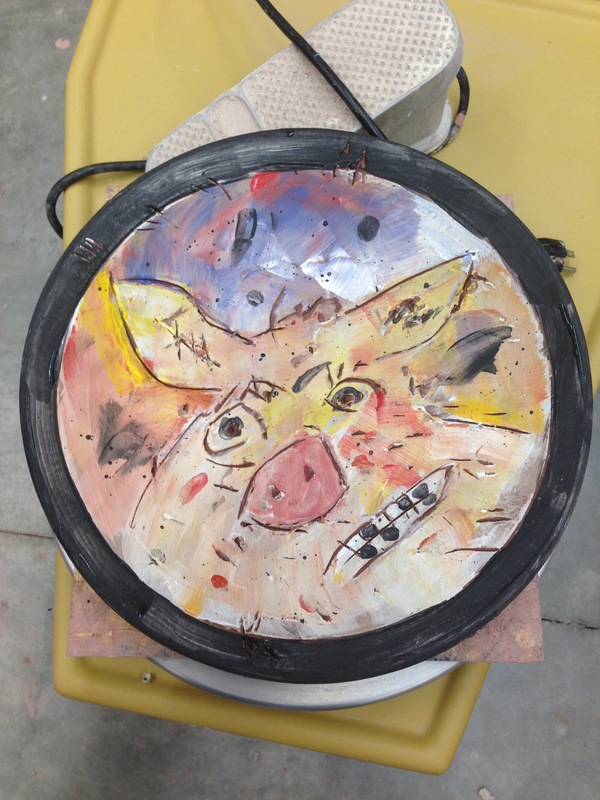 Do you hand draw/paint on each of your pieces or do you create a transfer and then glaze? 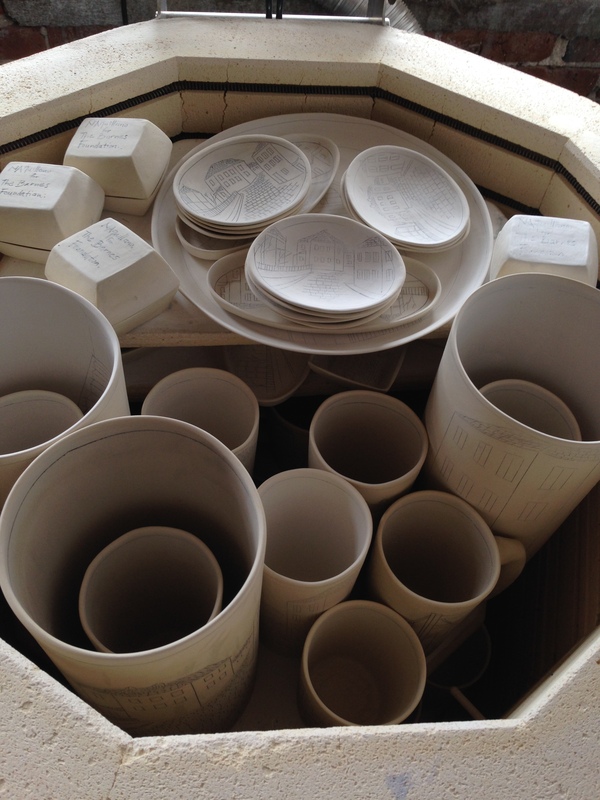 I hand-inlay each drawing into the clay before it is bisque-fired. I use a knife similar to an exacto knife (it is actually a Dolan knife, my favorite tool) to carve each line into the clay. After I’ve carved in the entire drawing, I put an underglaze over top, let it dry, and wipe away from the surface with a damp sponge. The sponge removes the underglaze from the surface of the piece, but leaves in imbedded in the clay where I had carved in the lines. 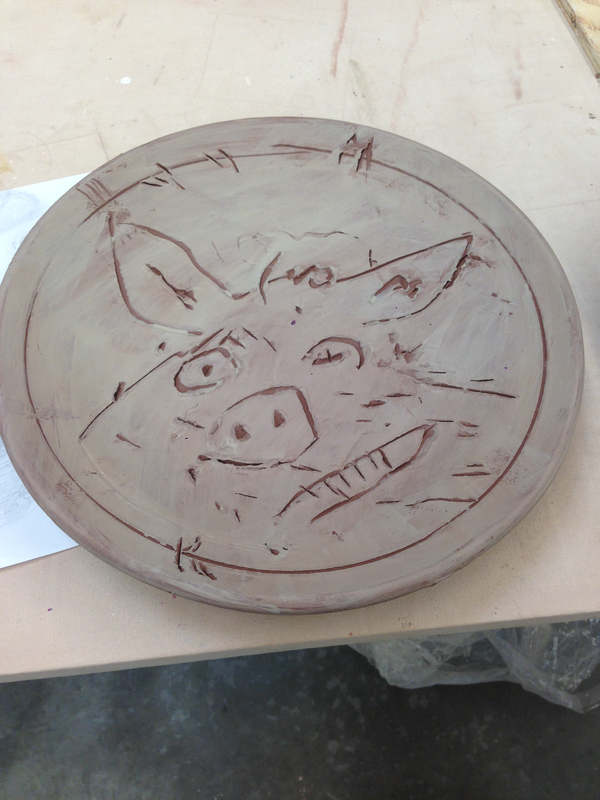 Then I bisque-fire, and mix and apply a glaze that when applied over the drawing, it brings the underglaze out a little bit and creates a runny effect: which I think is important to help trigger the feeling of a memory. What are three things that inspire you the most? Hard Work + Passion. I am amazed at the results which come from a lot of hard work combined with a lot of passion. One of my mentors once told me, if you work hard enough at something, it’s bound to happen. And I truly believe this. If you want something enough, and are willing to work harder than you ever thought possible, it will eventually happen. Whether training for a marathon or trying to make a big career change, I am amazed at the ability of hard-work and passion to get you where you want to go. Large bodies of water. Especially running by large bodies of water. 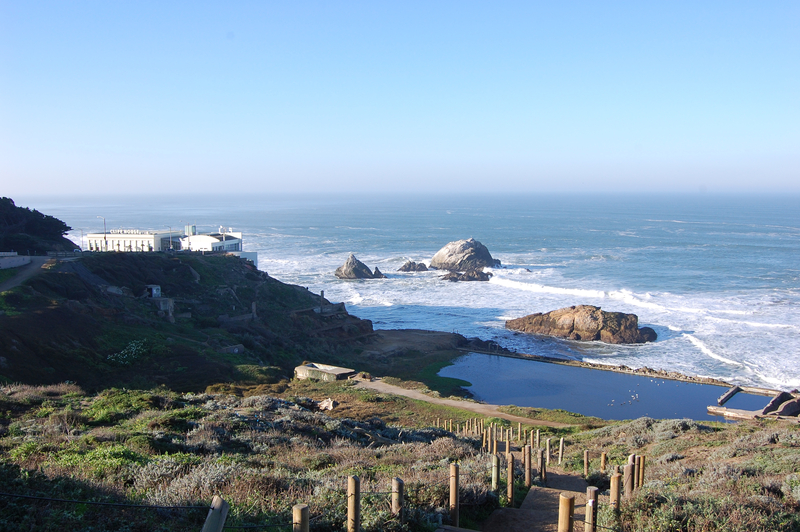 The solitude of running combined with the vastness of the waterbody are an invitation to let your mind rest. There is something so amazing about being reminded of how small you are in the world…but remembering how much of a difference you can make. The human need to maintain collections. The main reasons people collect are to remind them of the past and to fill a void, so that the act of collecting is a way to preserve the past and satisfy the longing with which we inhabit the world: driven by a desire to hold onto that which will inevitably be lost. Growing up, I observed my mother collecting objects that retained memories of her childhood and parents. She would reminisce about the past though these objects quite often. As I grew older, my mother began passing these objects and memories on to me. These objects have become an important part of my life, as reminders of my grandparents and my mother, and their emotional connection to these objects. For both my mother and me, possession of these objects is a link to the past. Collecting is a way to preserve the past by filling the void left by the inevitable loss associated with life. 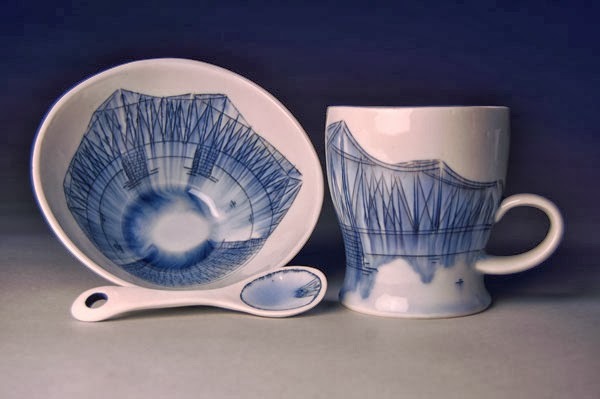 As an object maker, I pour both my past and present experiences into my work, attempting to preserve my past by retaining my memories within these objects. My memories and experiences are carved onto objects intended to be both used and collected: as a way to facilitate new relationships to fill the void left by that which we will never have again.